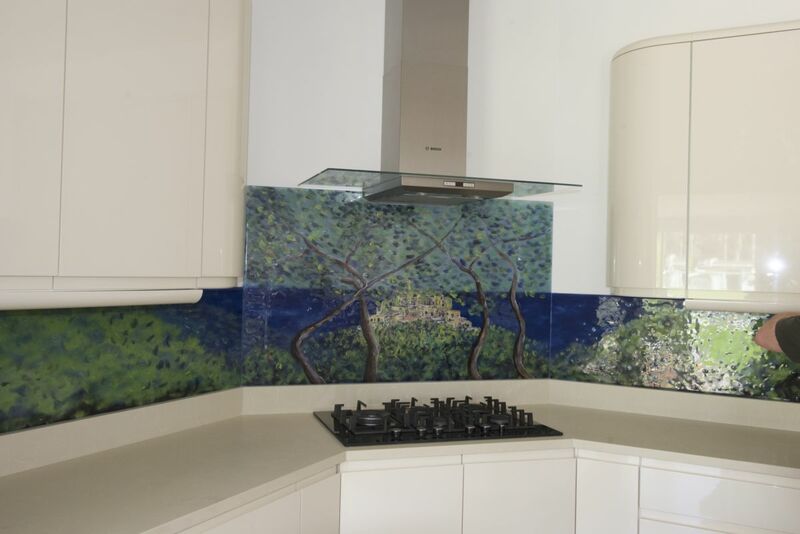 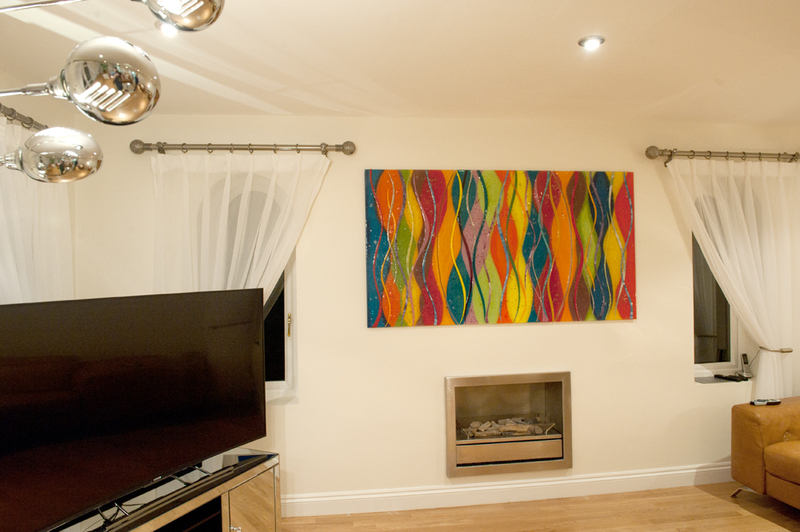 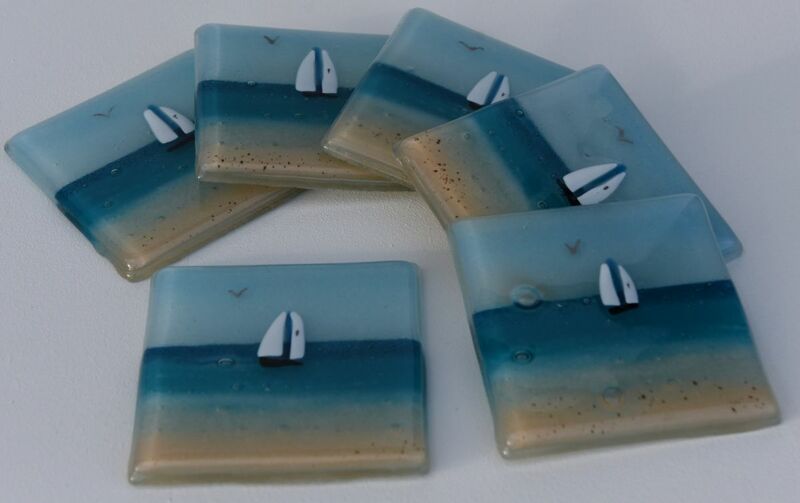 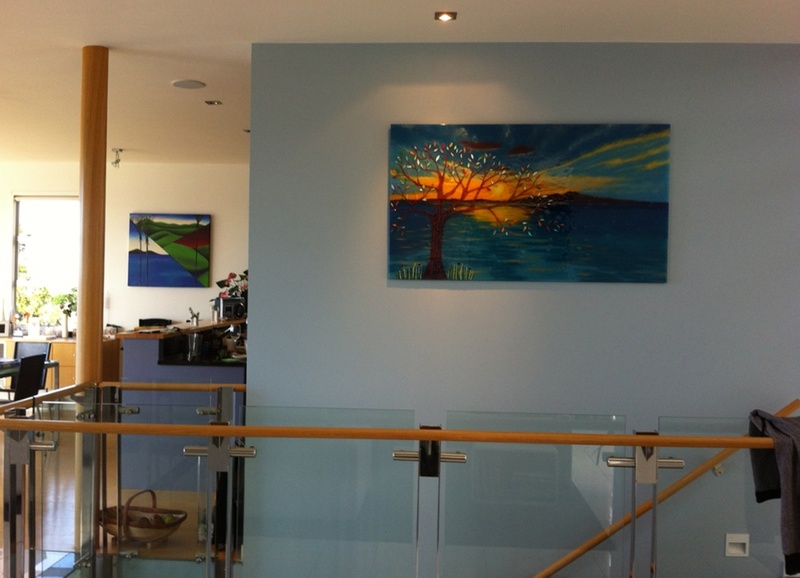 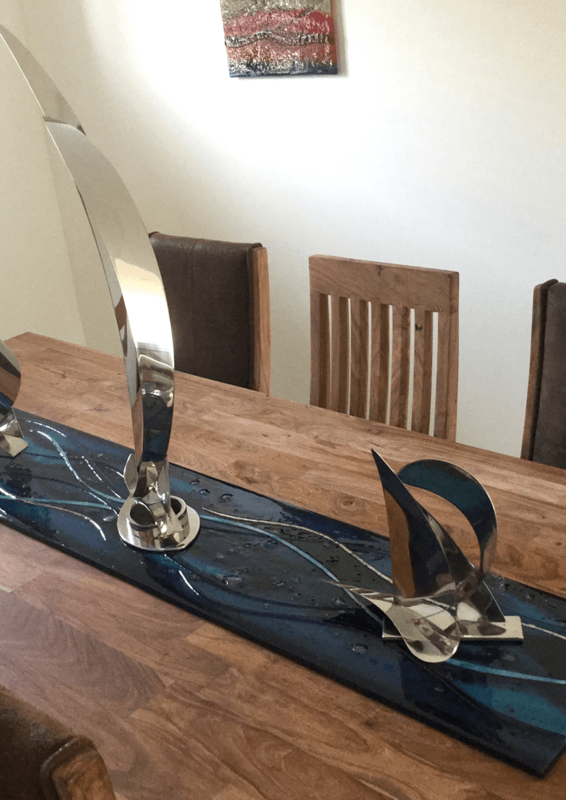 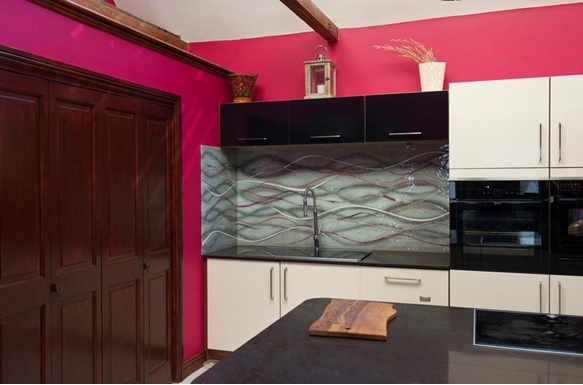 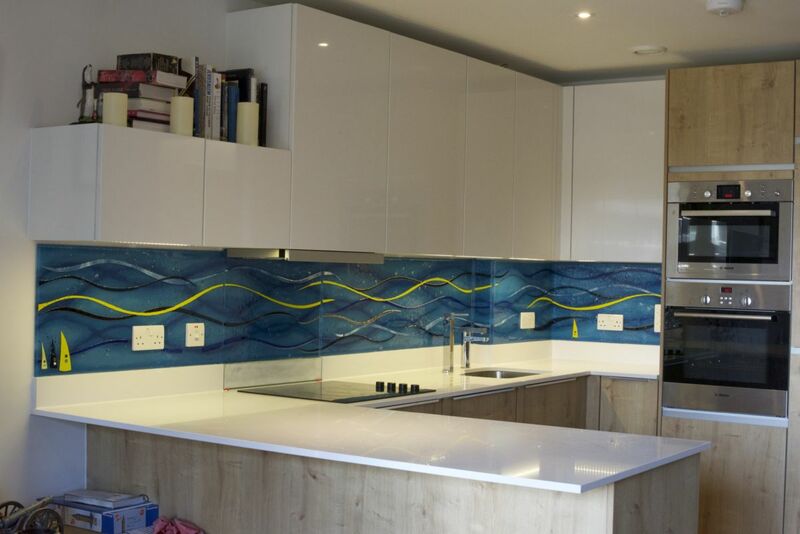 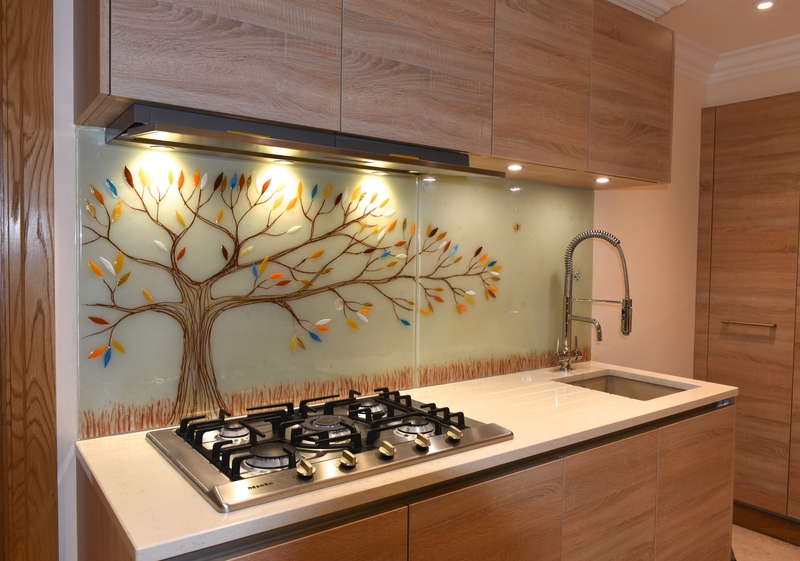 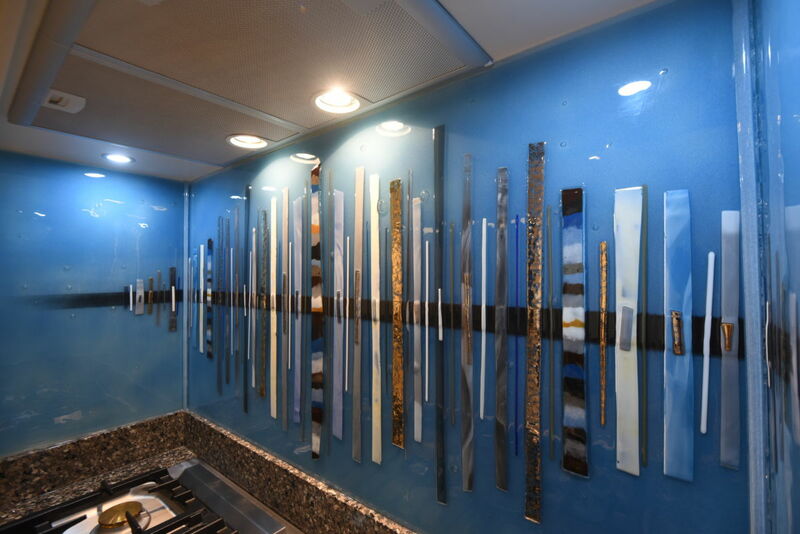 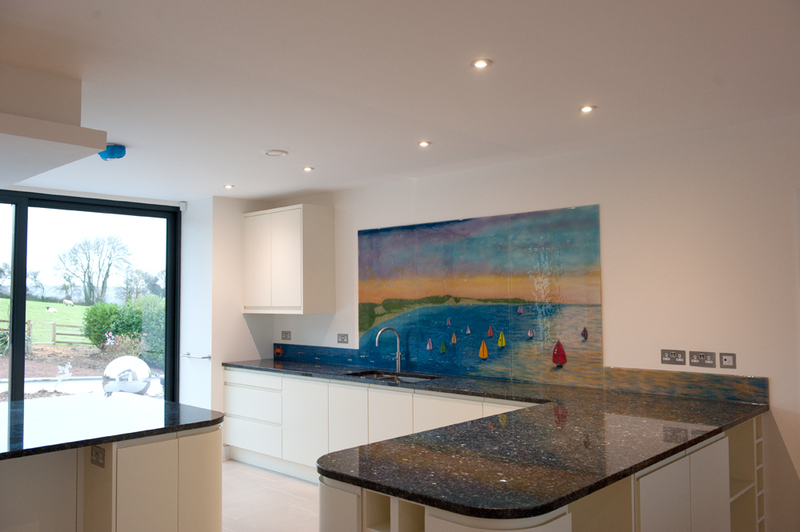 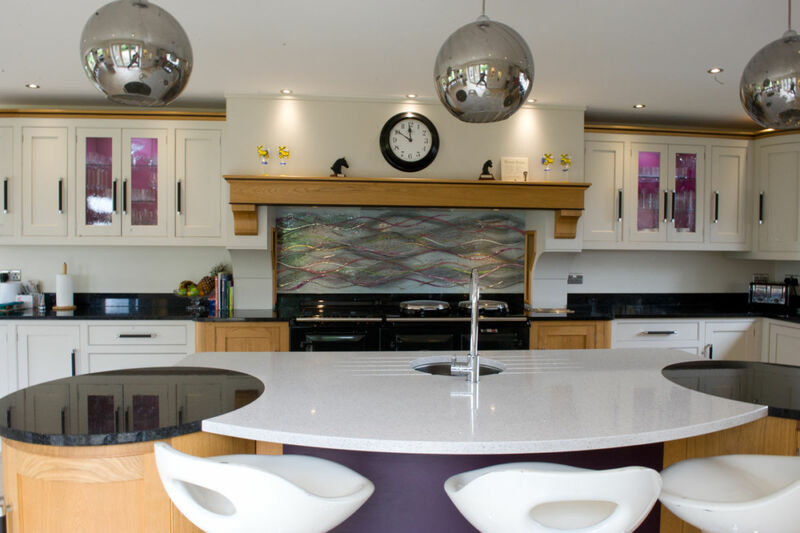 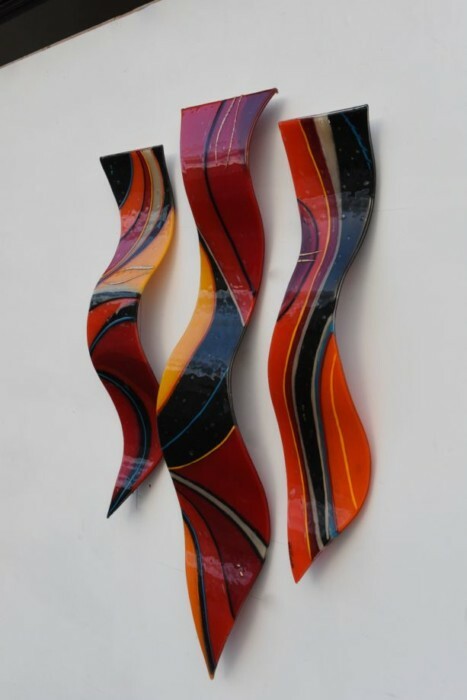 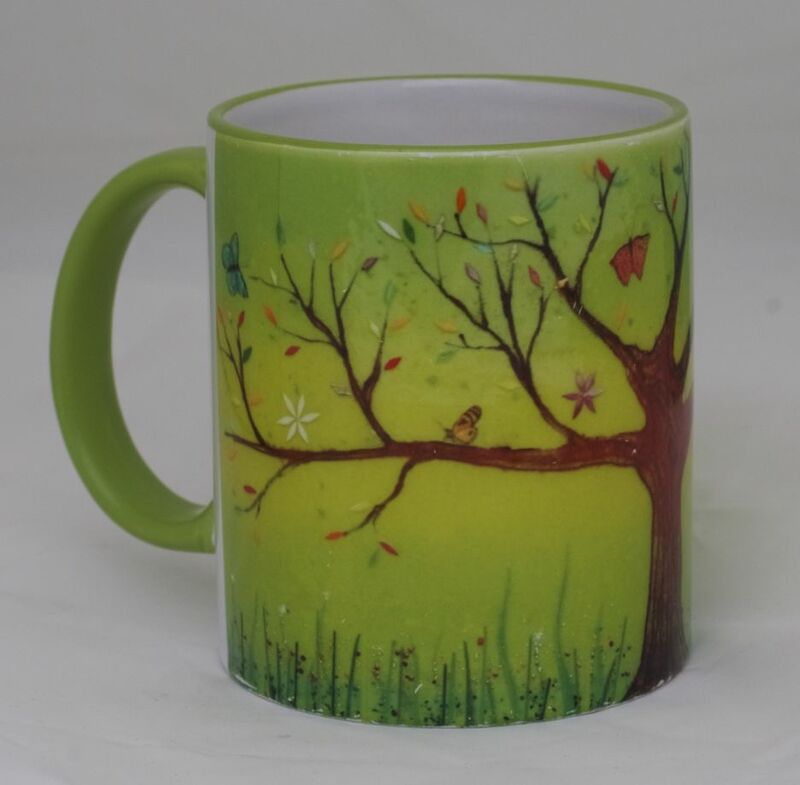 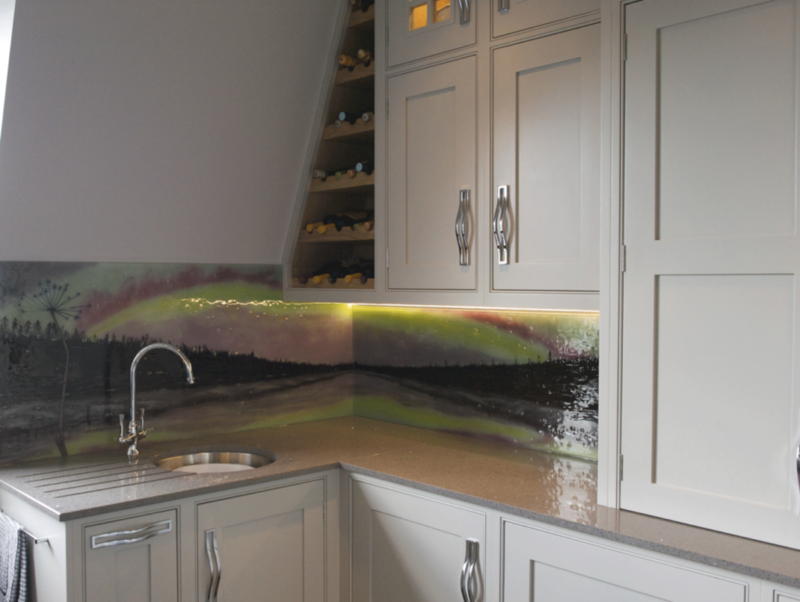 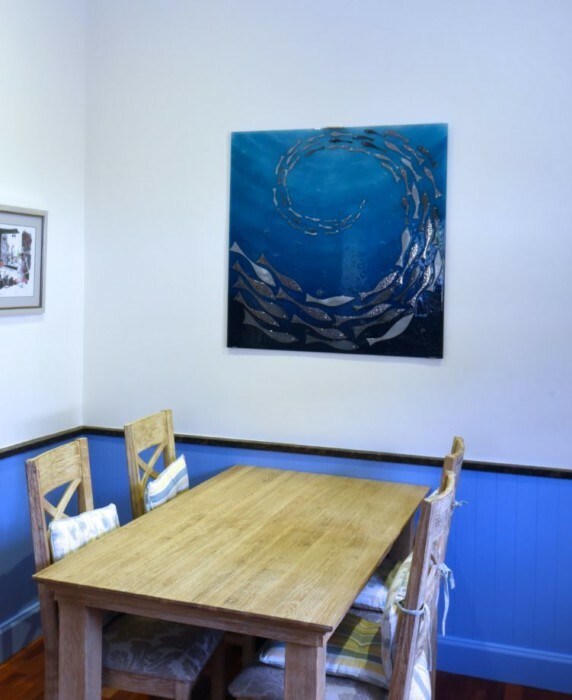 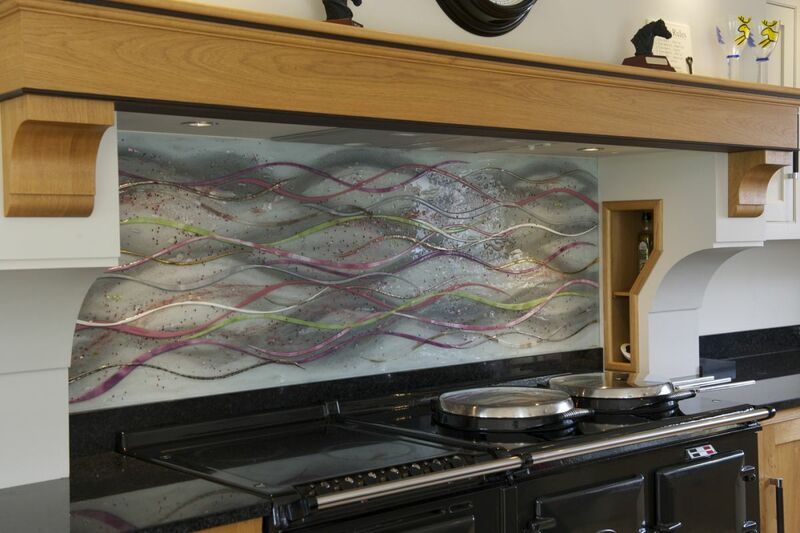 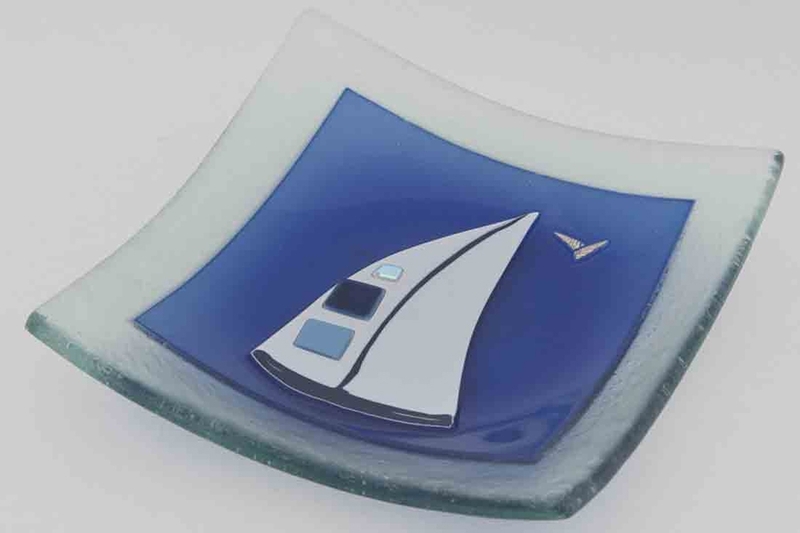 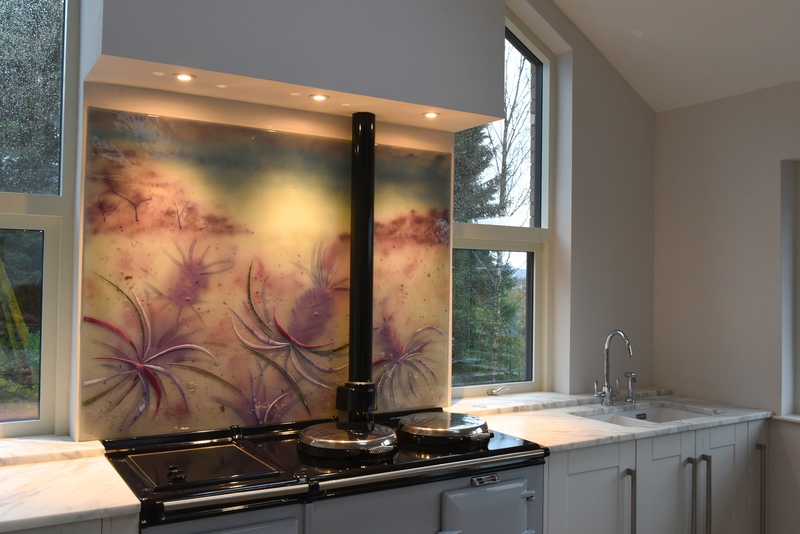 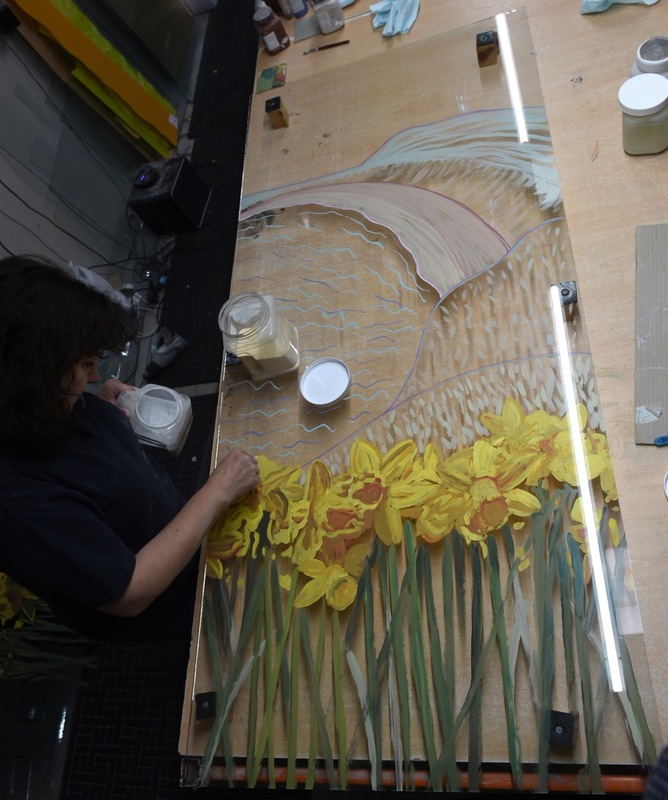 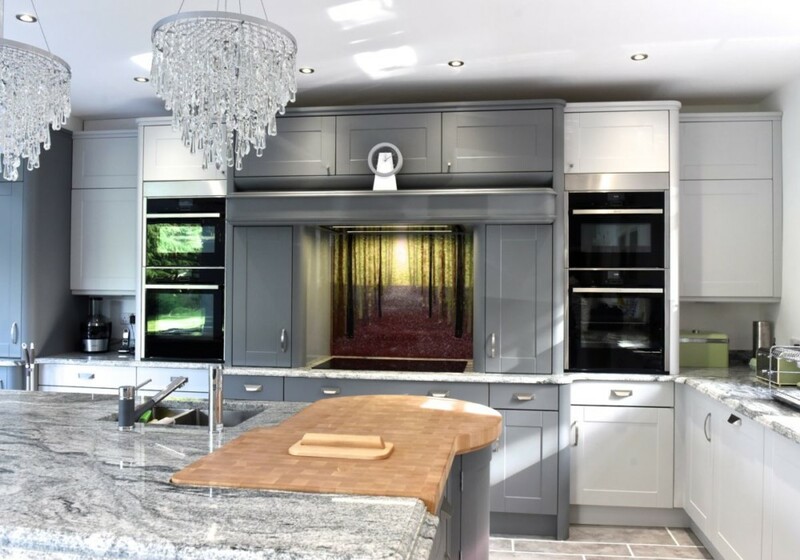 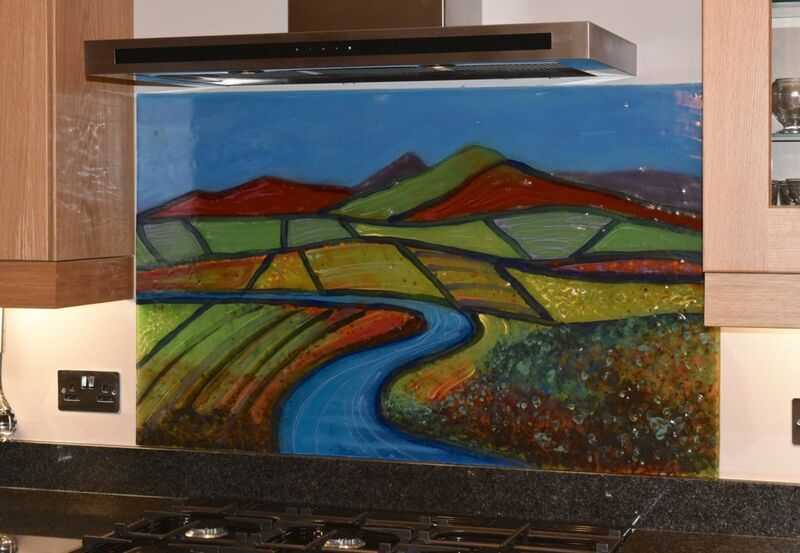 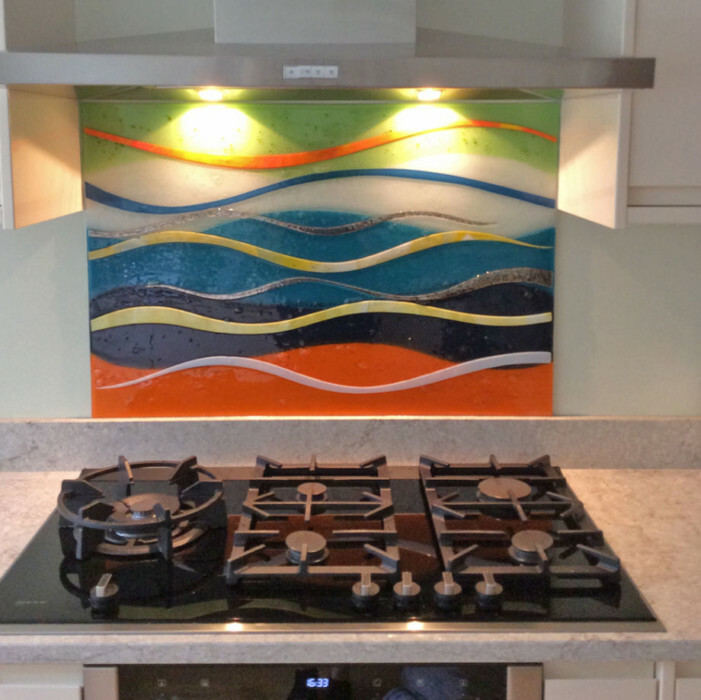 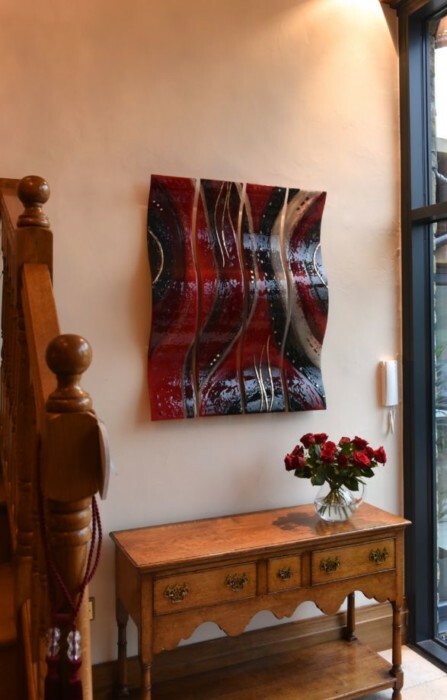 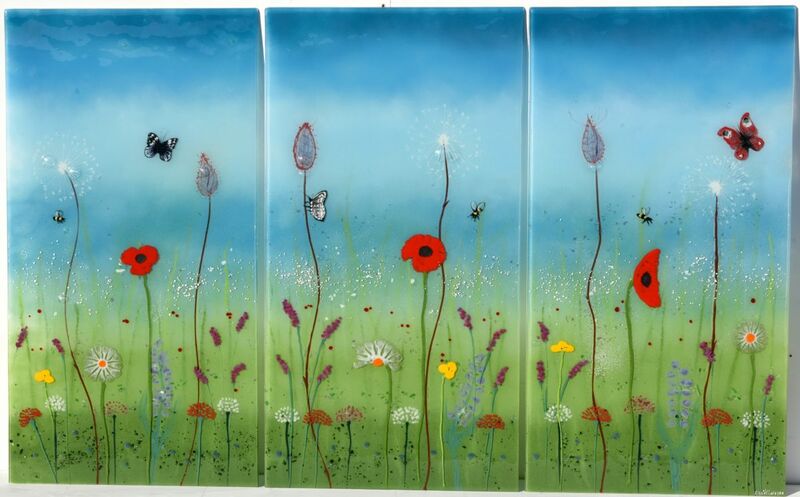 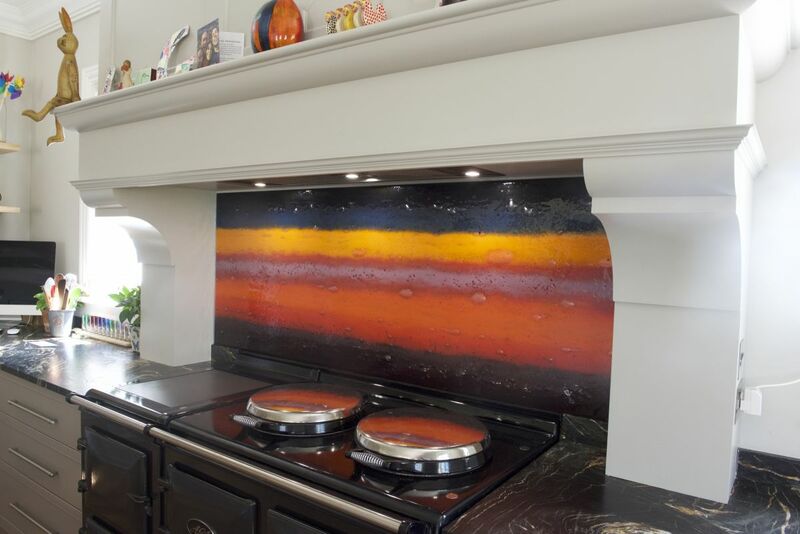 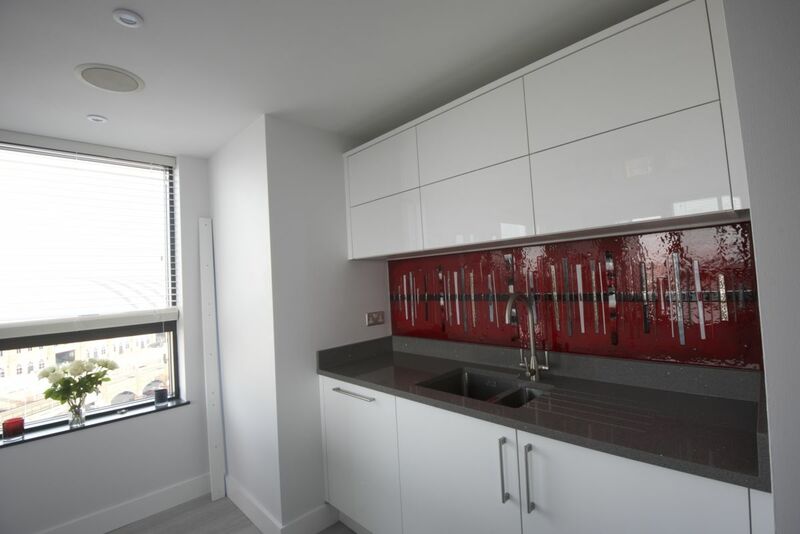 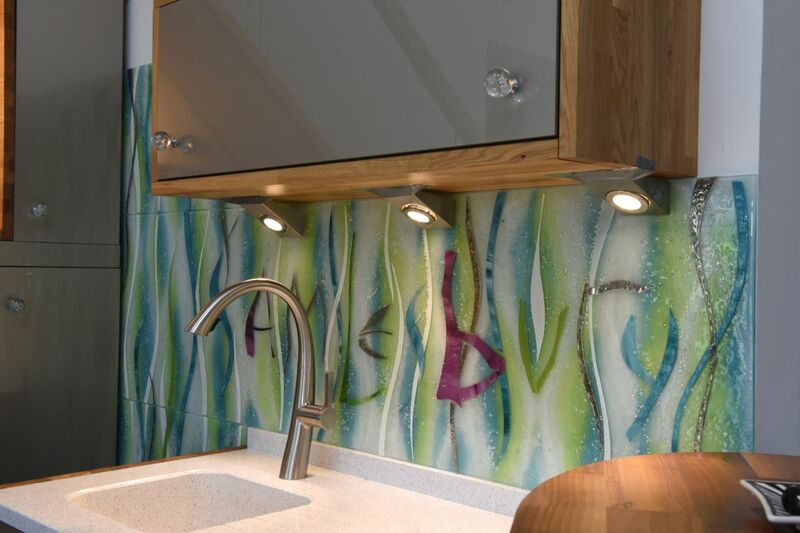 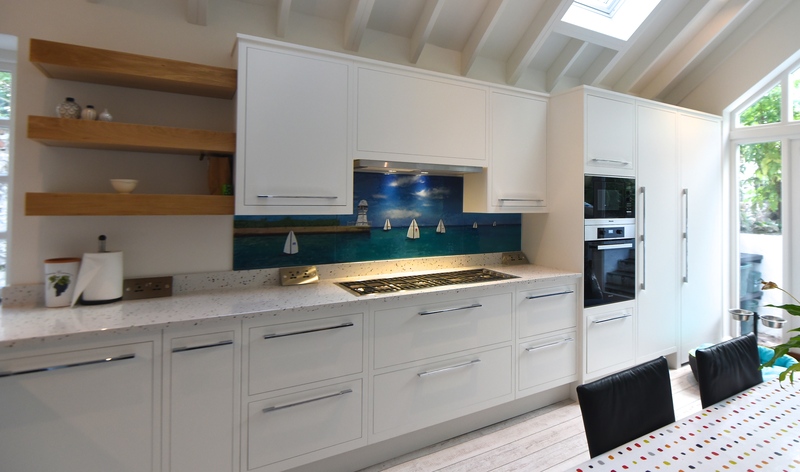 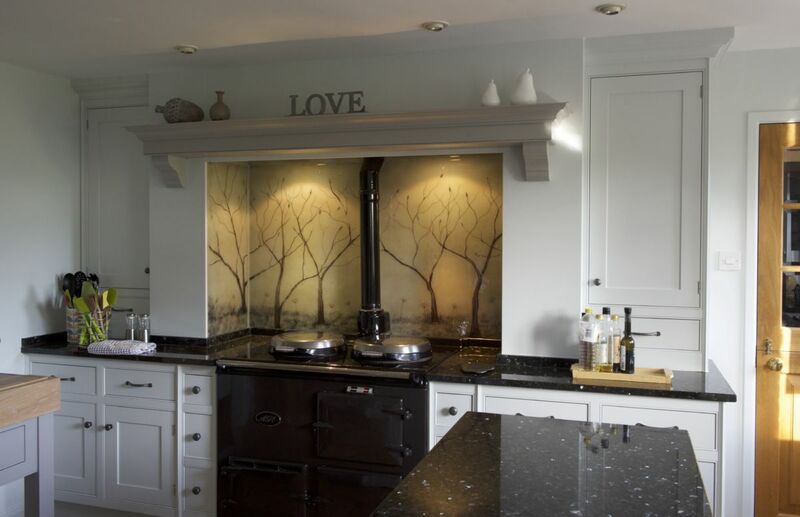 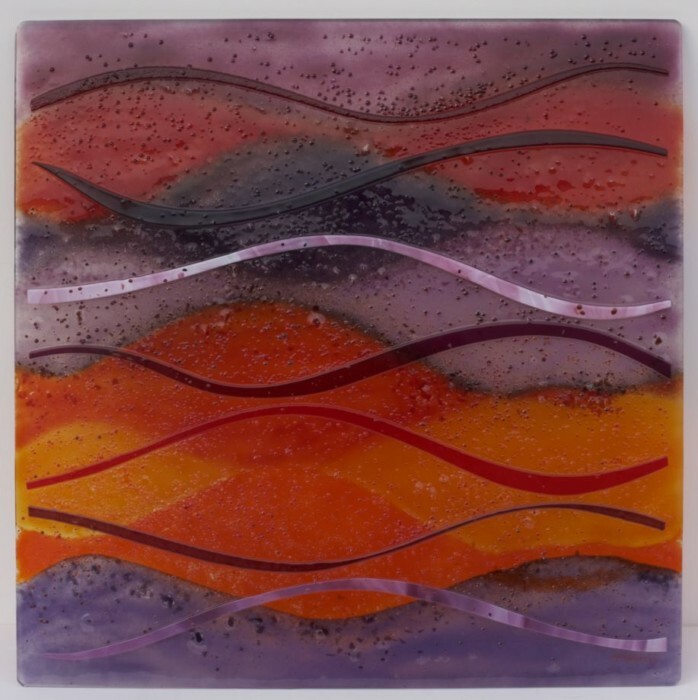 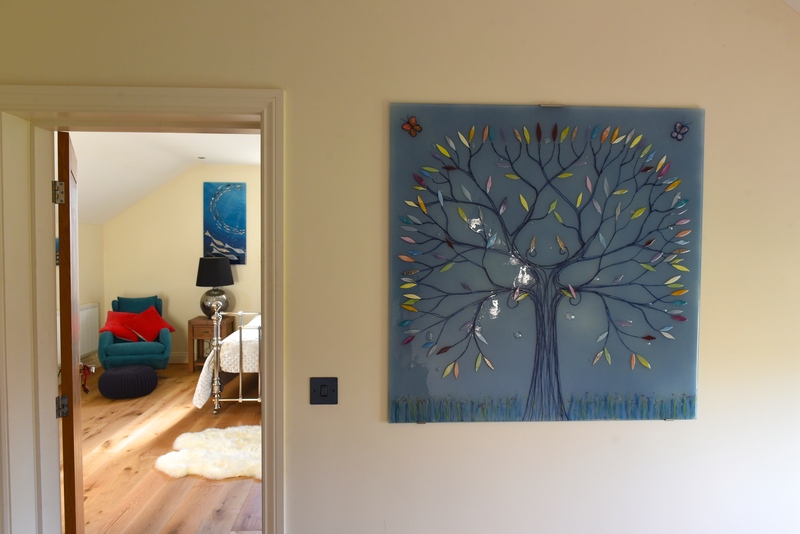 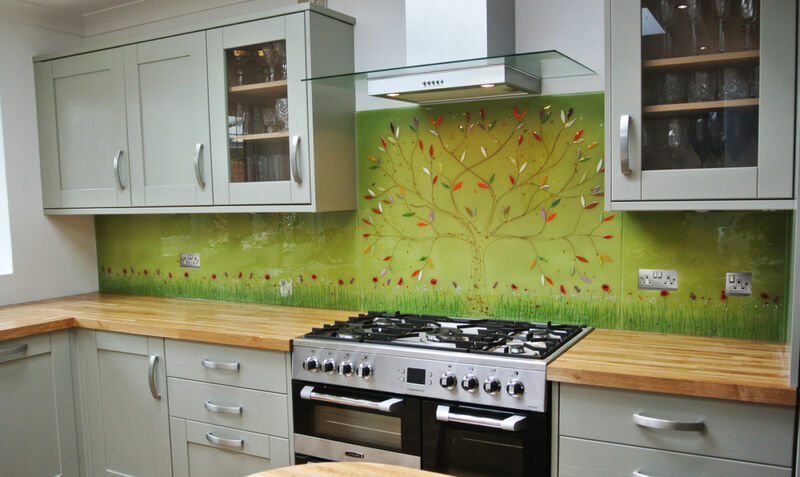 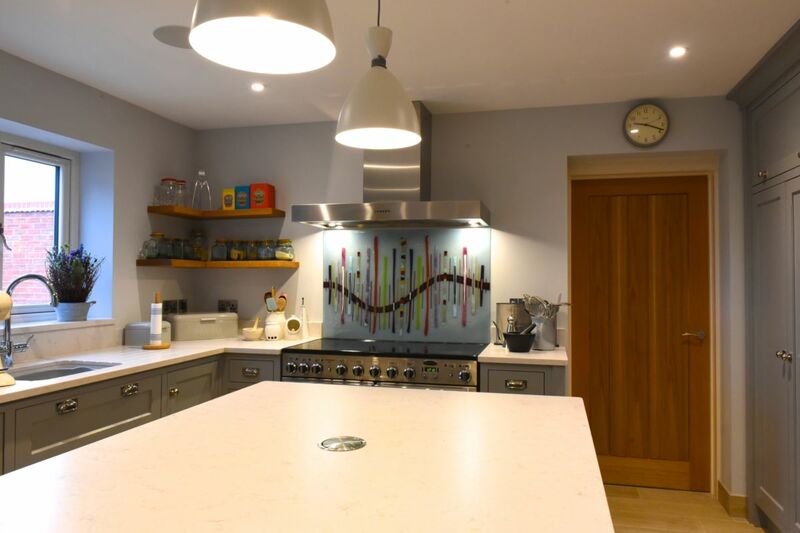 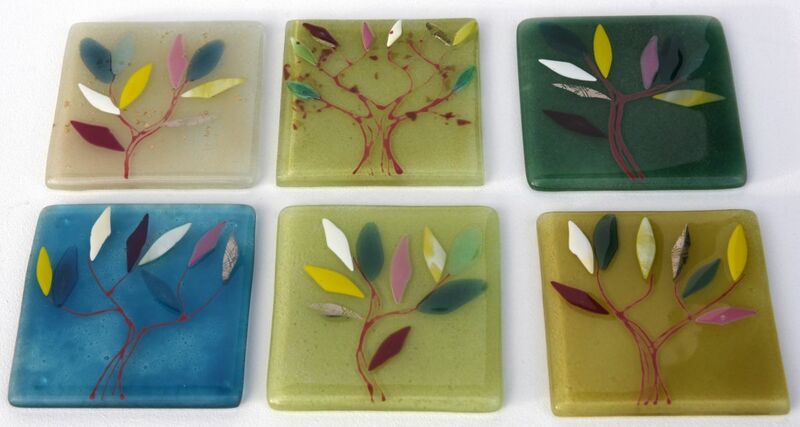 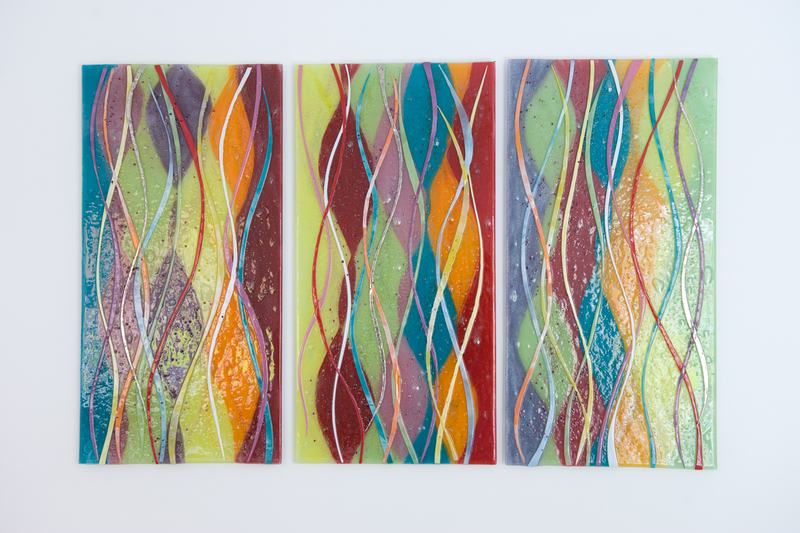 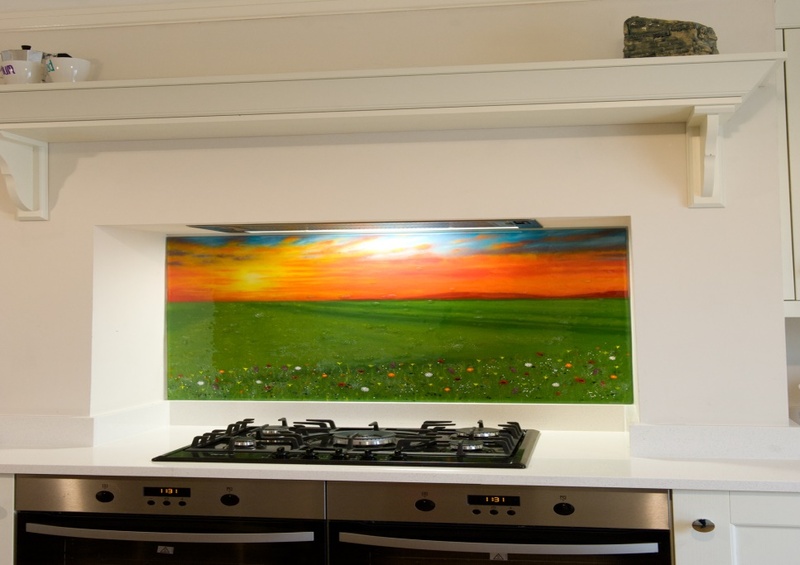 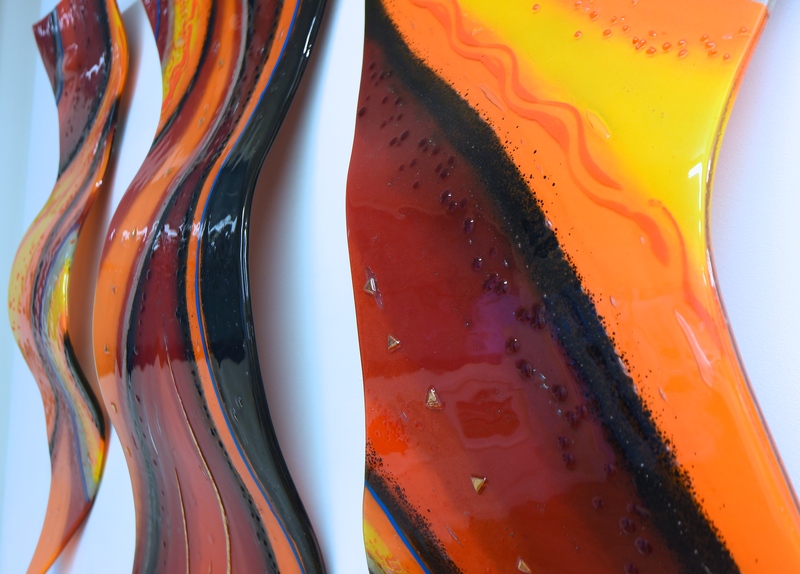 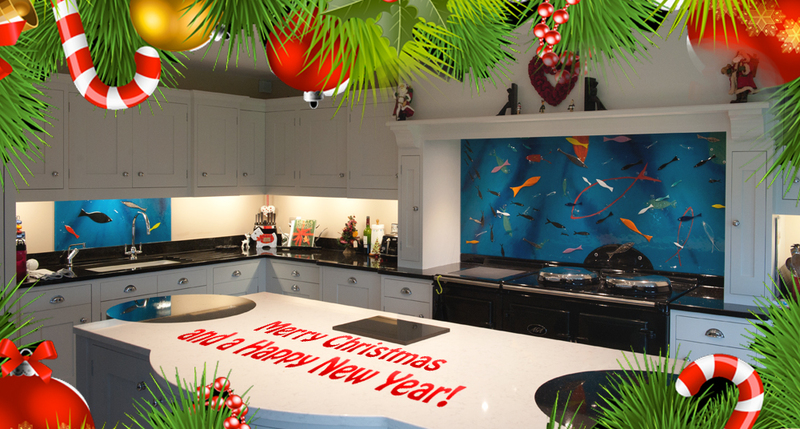 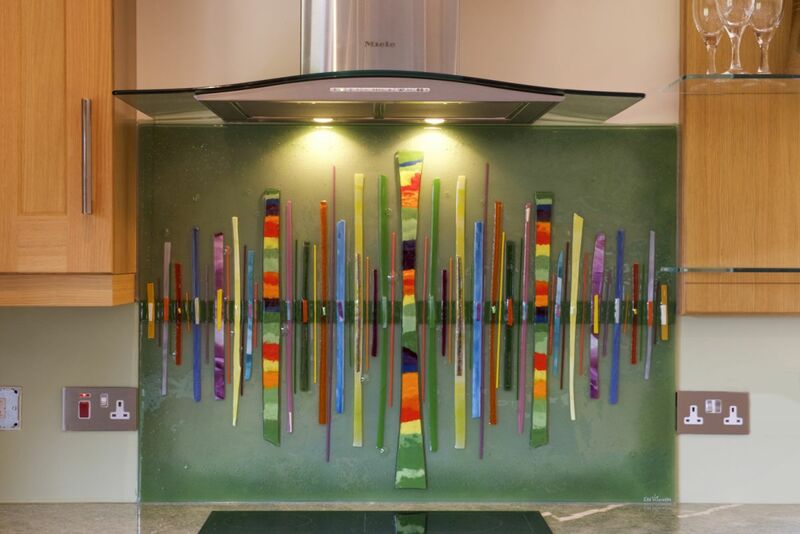 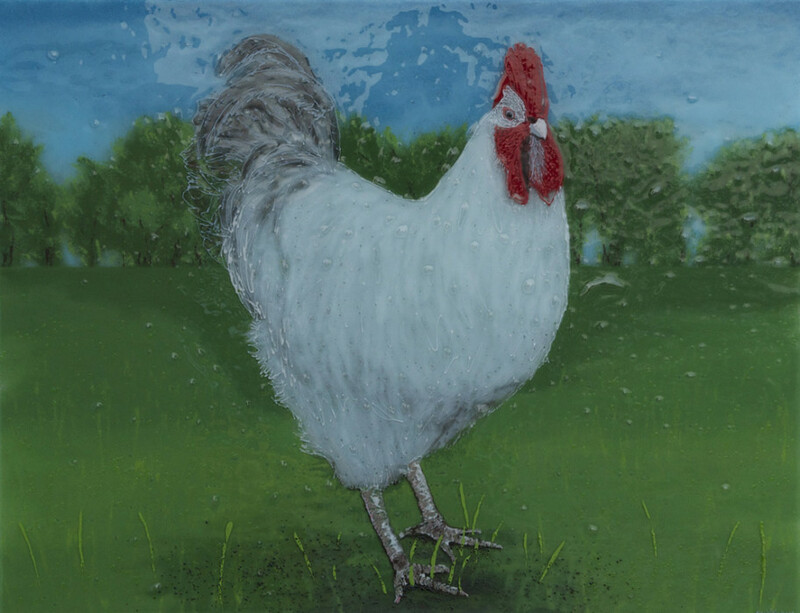 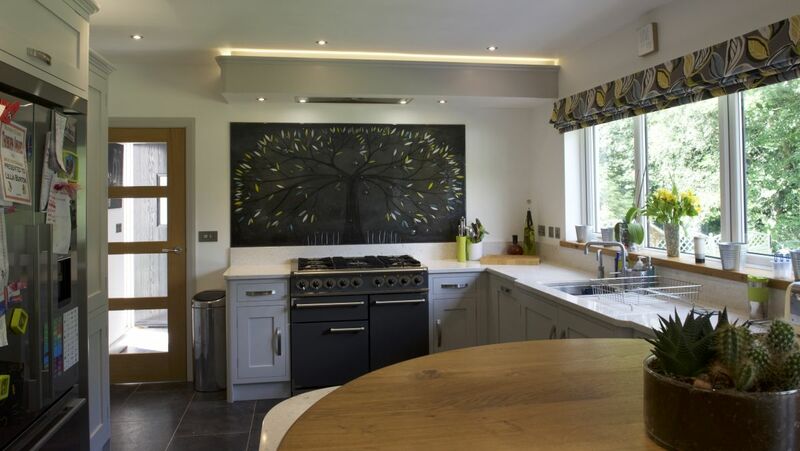 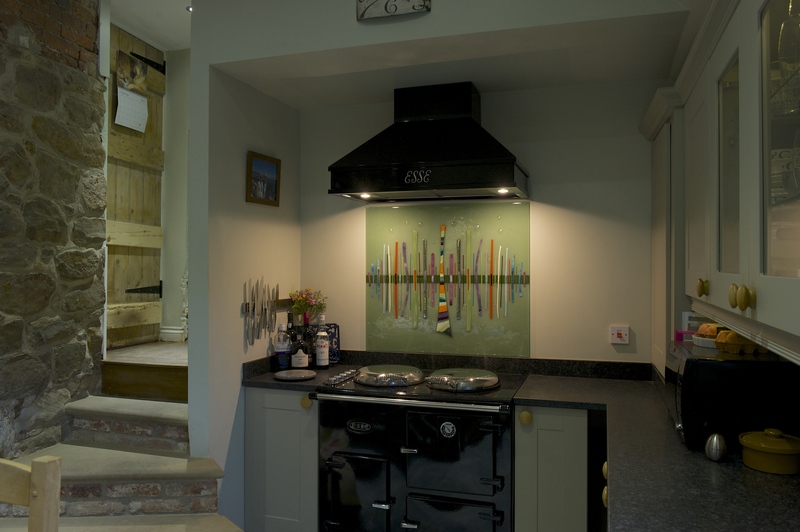 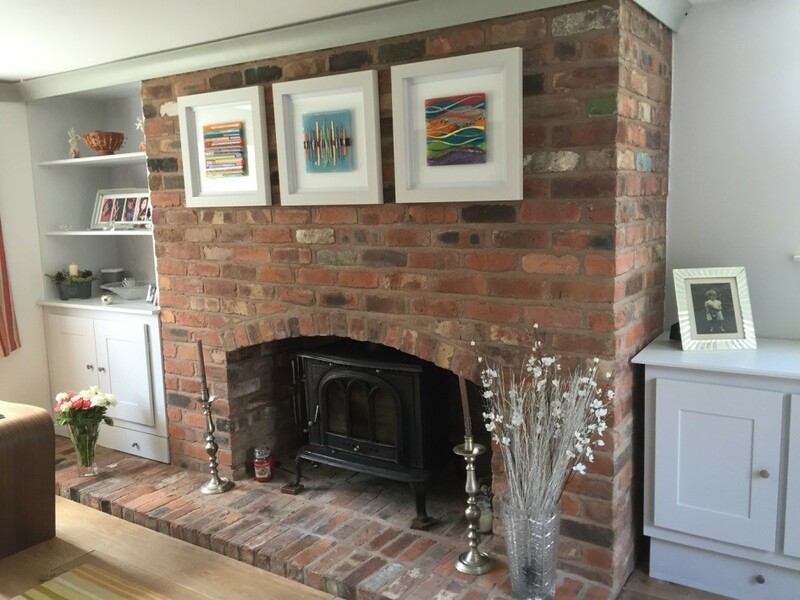 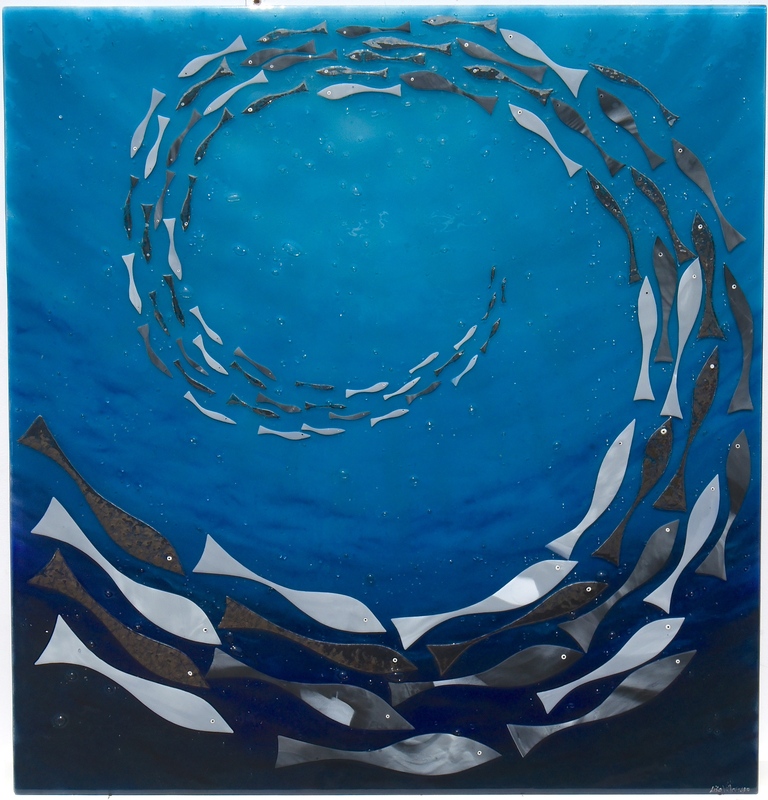 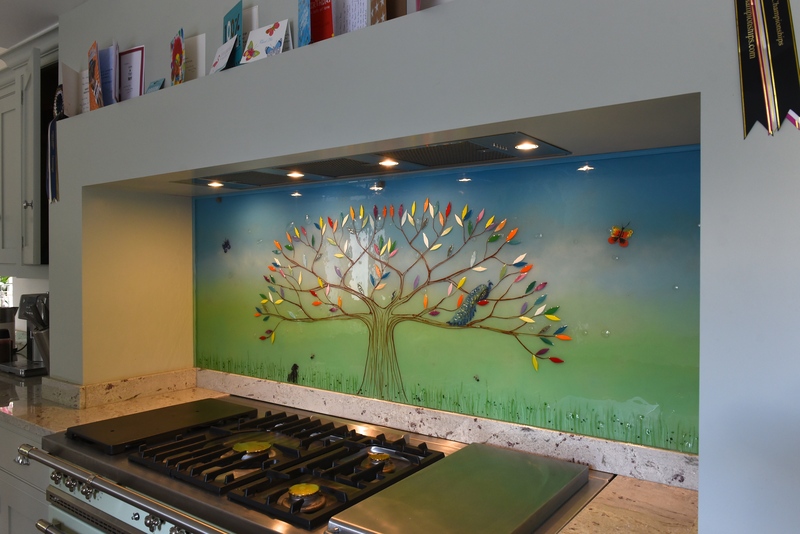 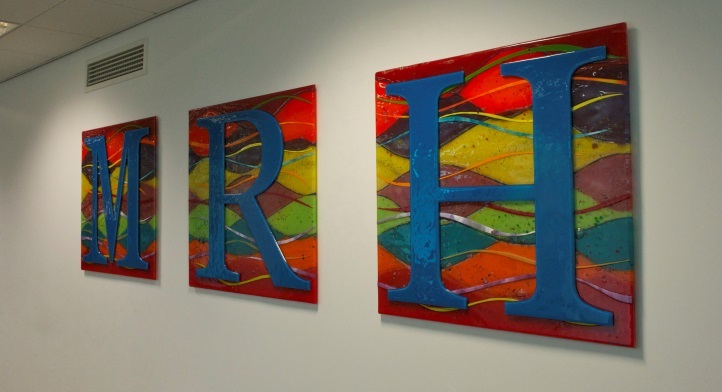 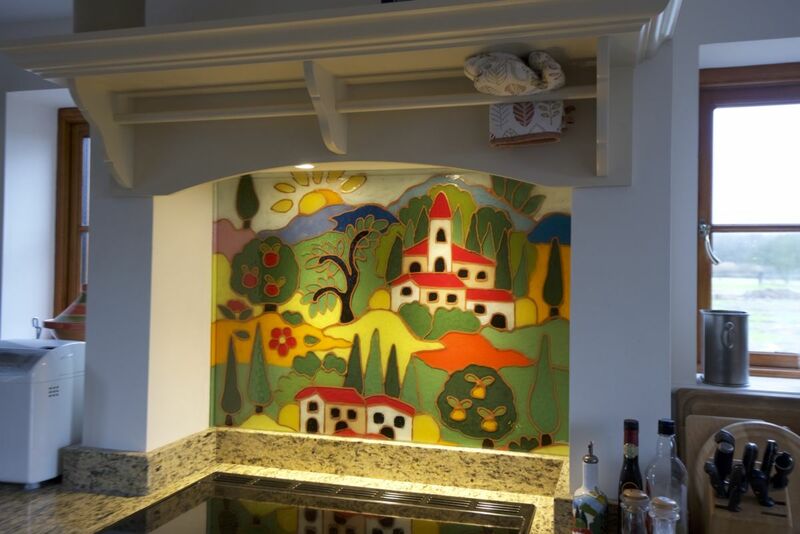 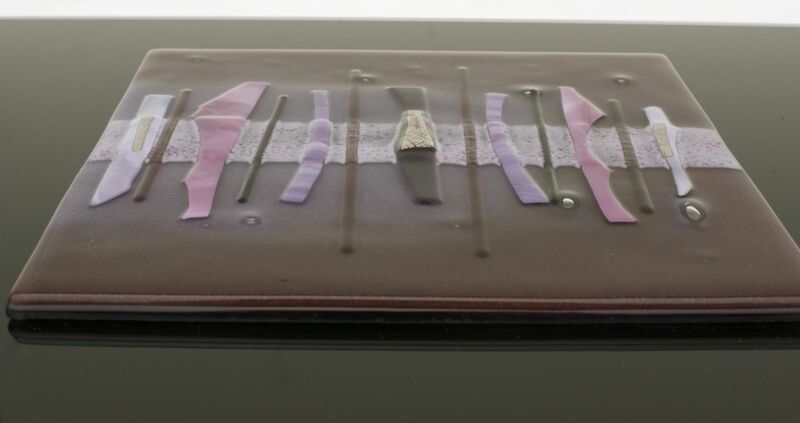 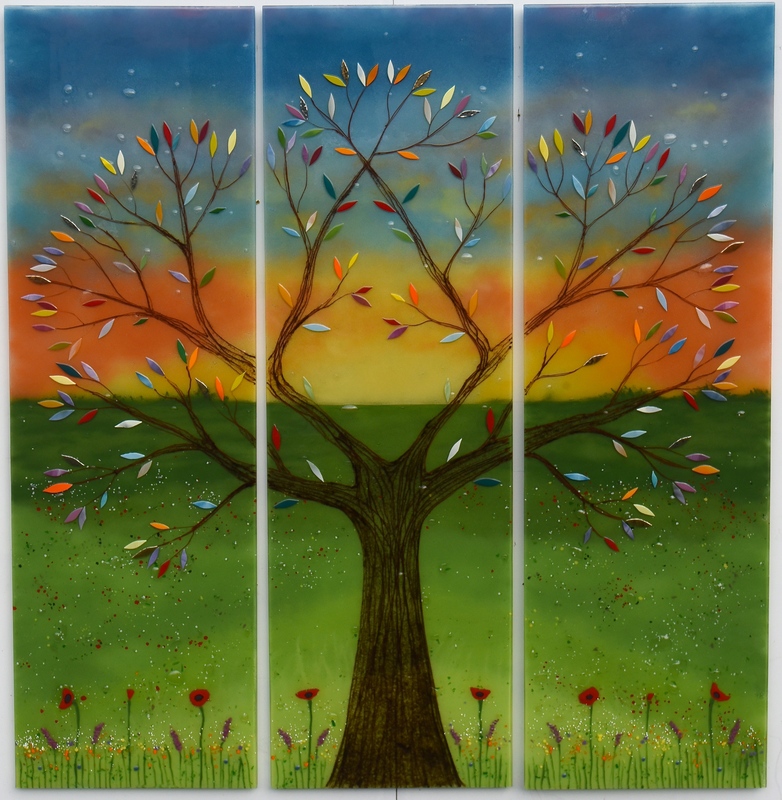 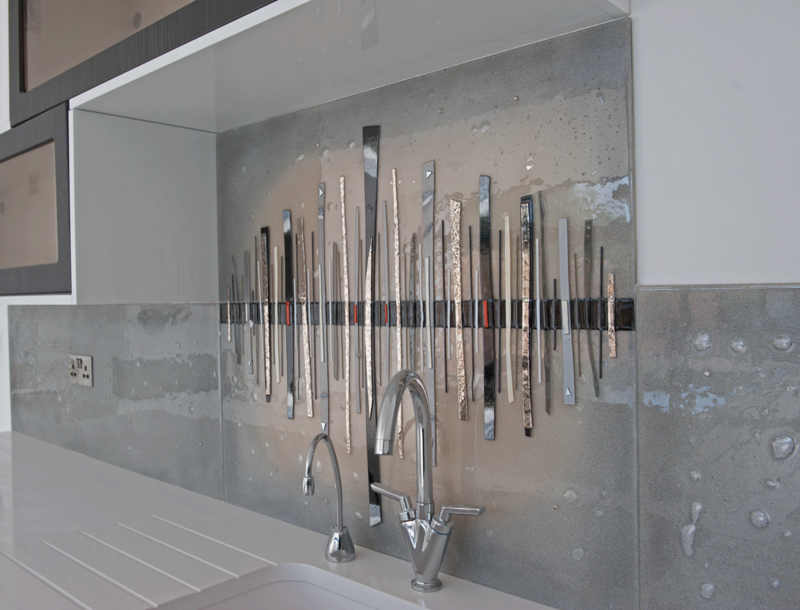 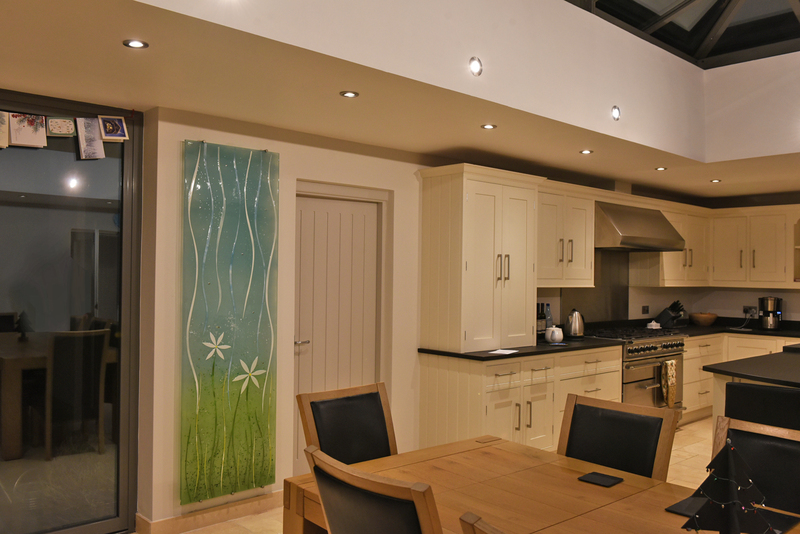 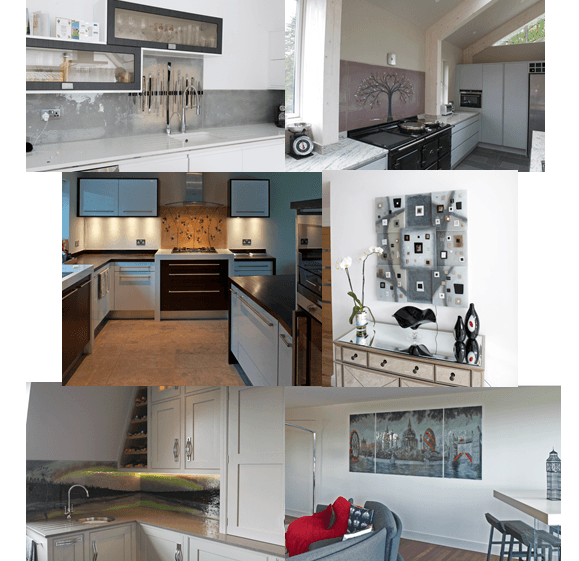 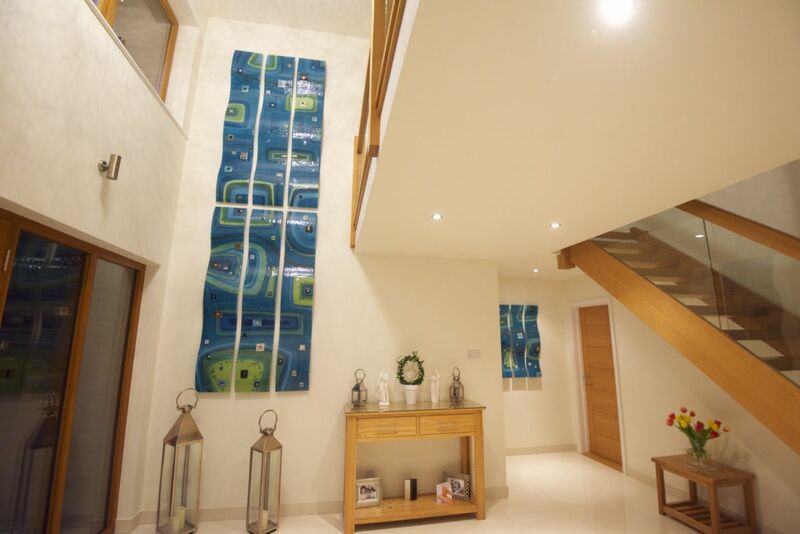 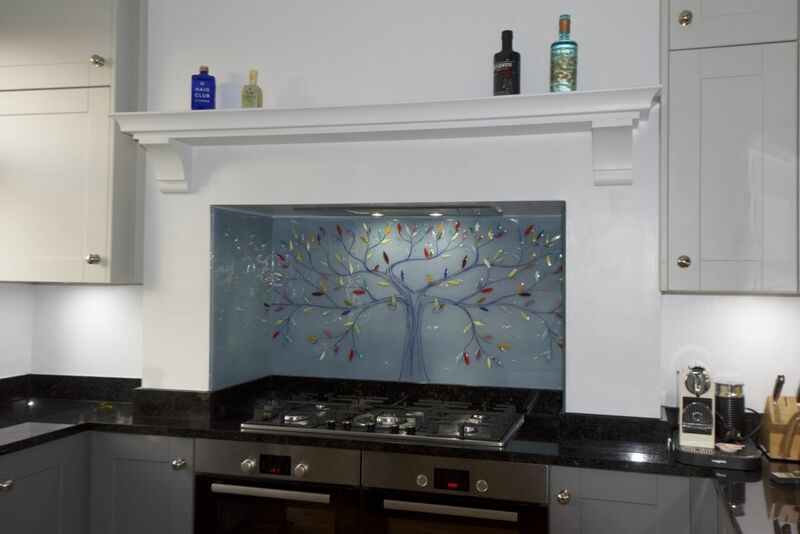 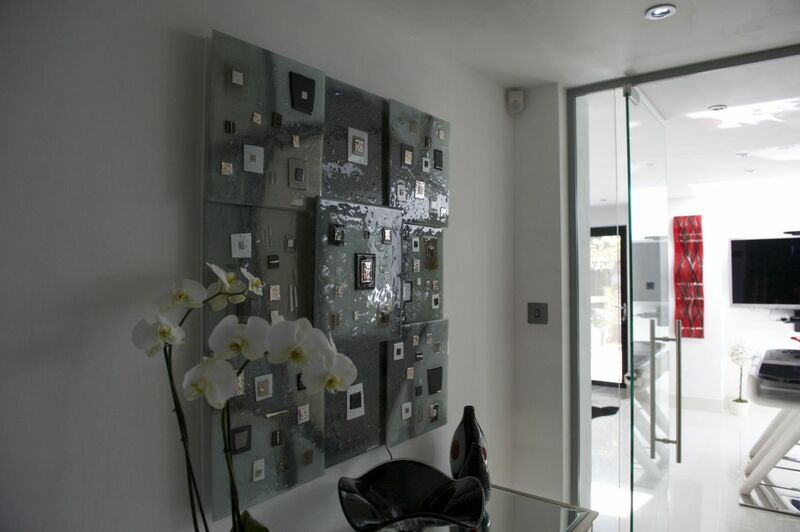 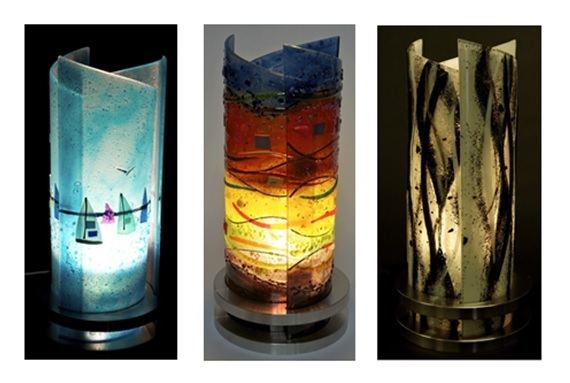 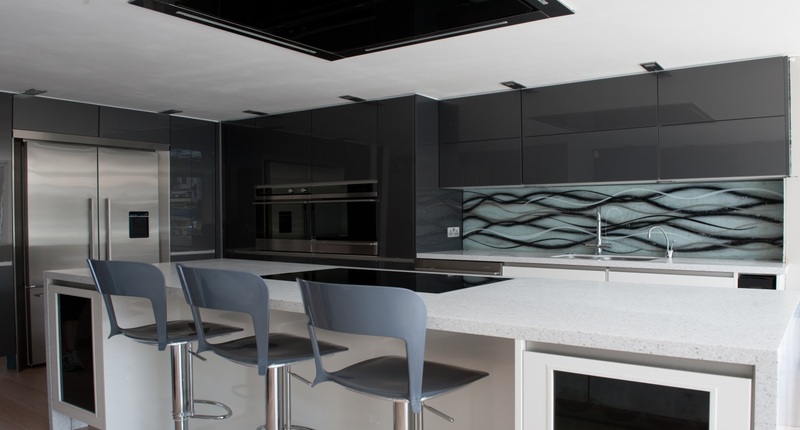 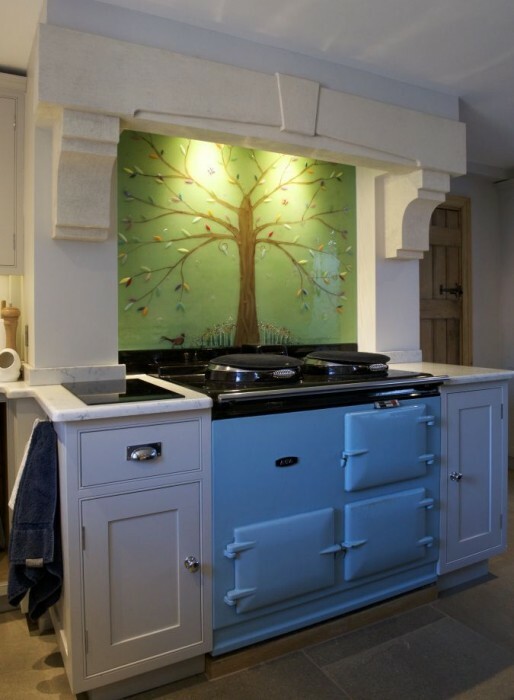 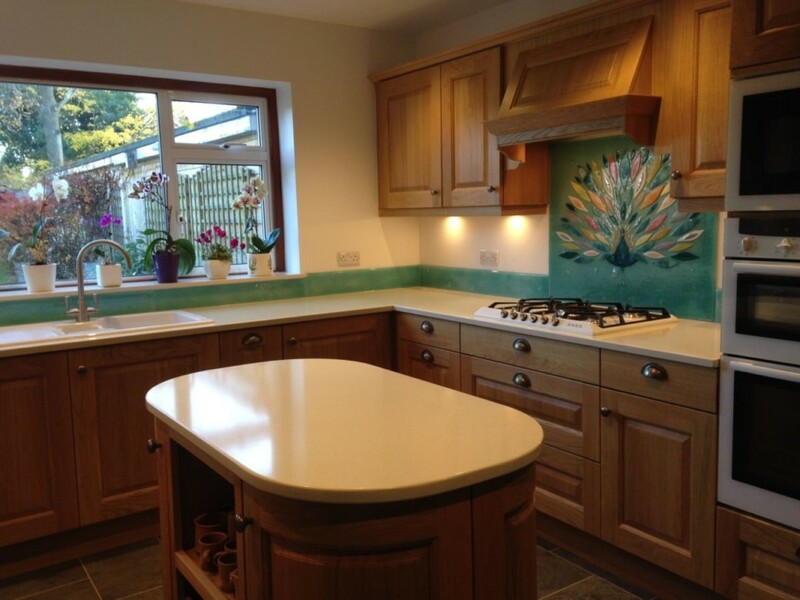 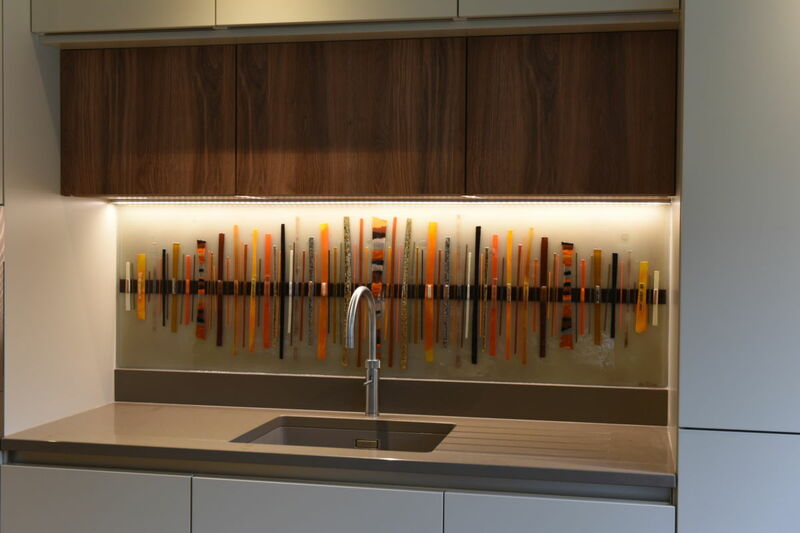 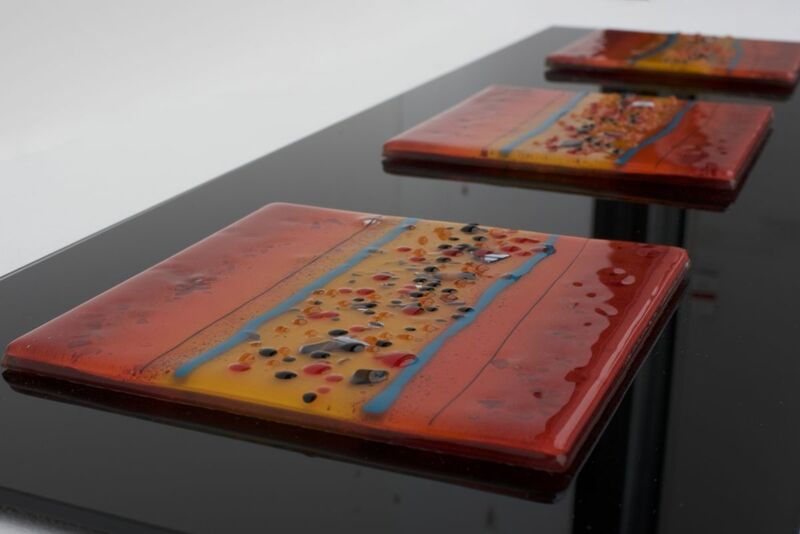 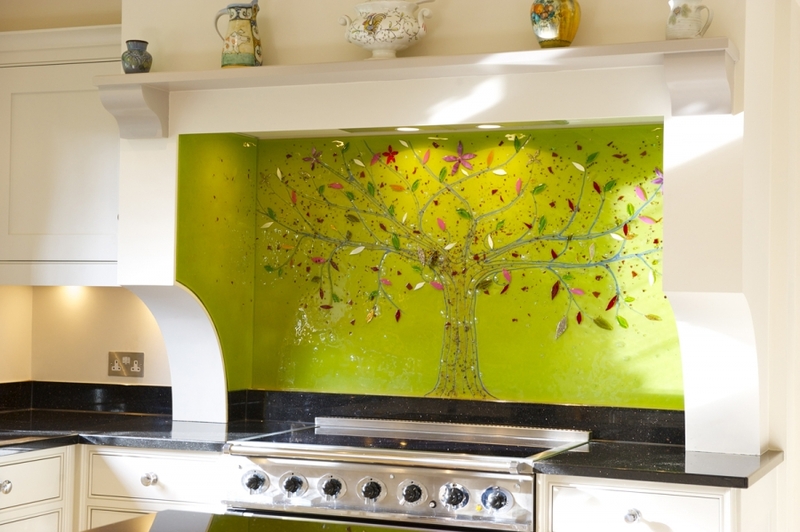 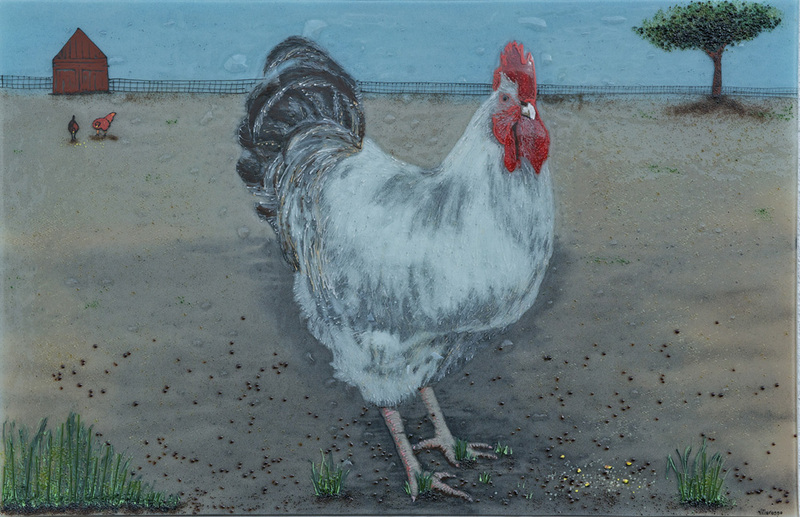 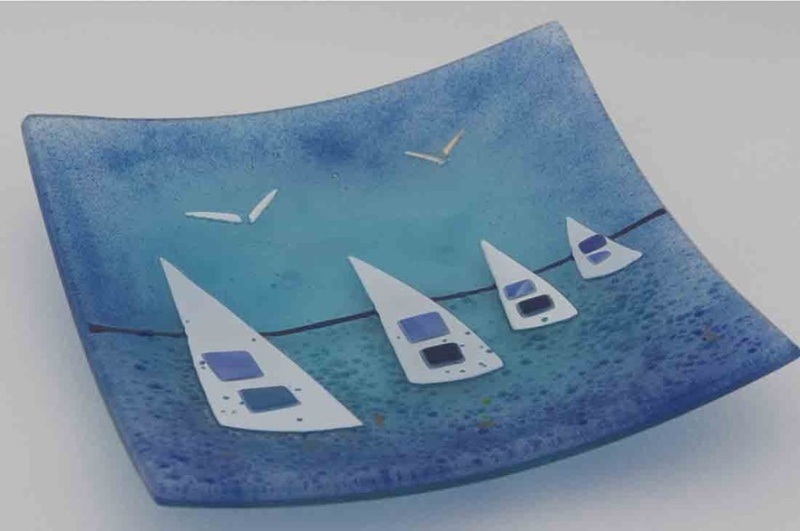 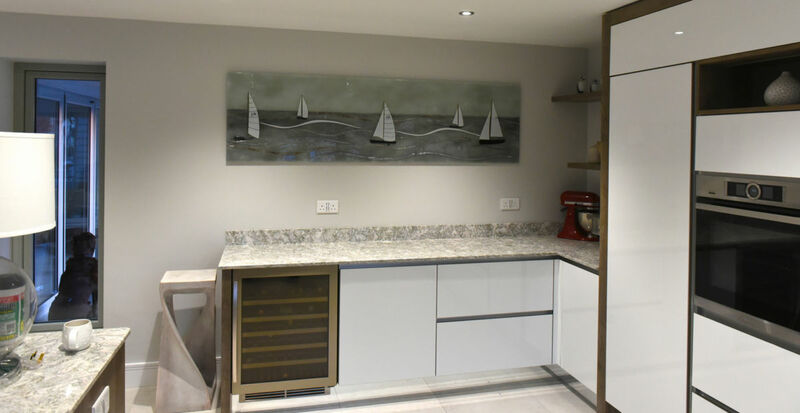 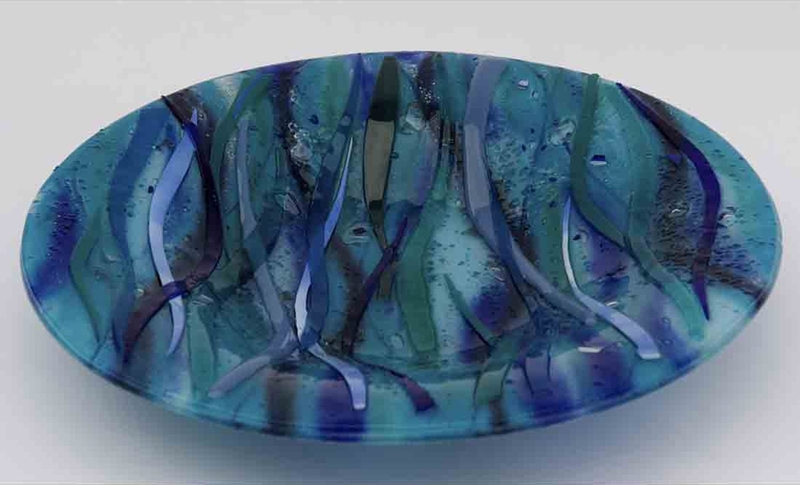 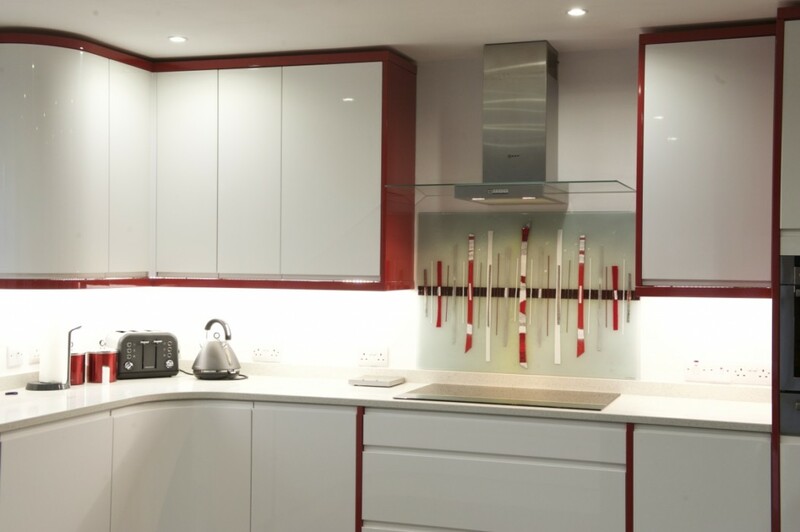 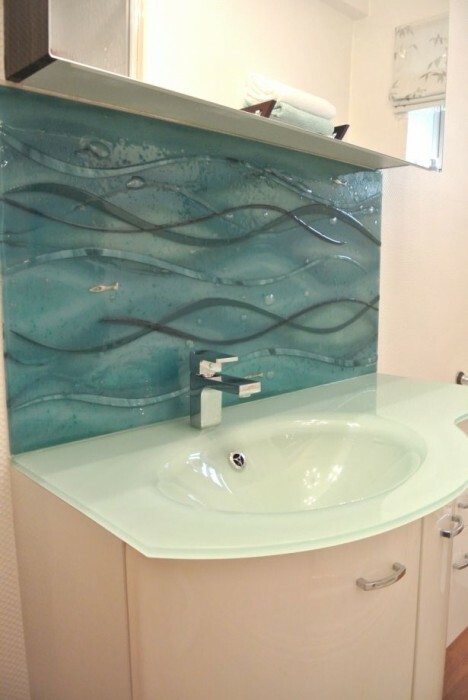 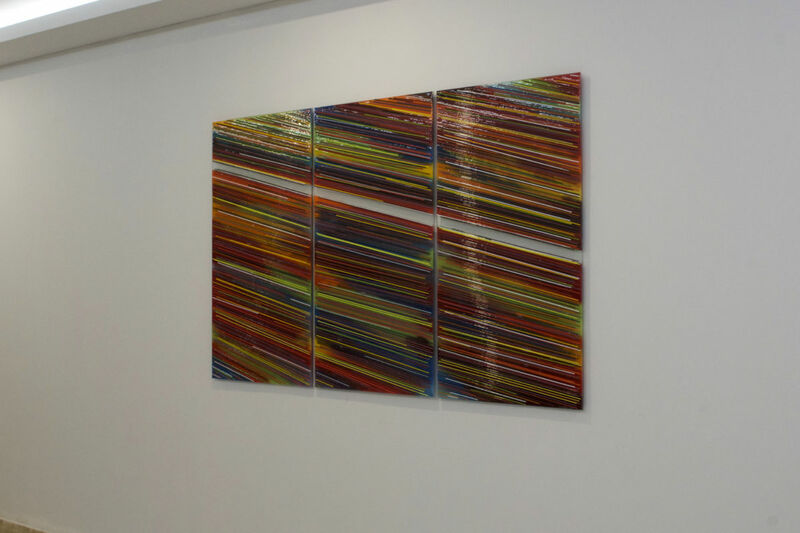 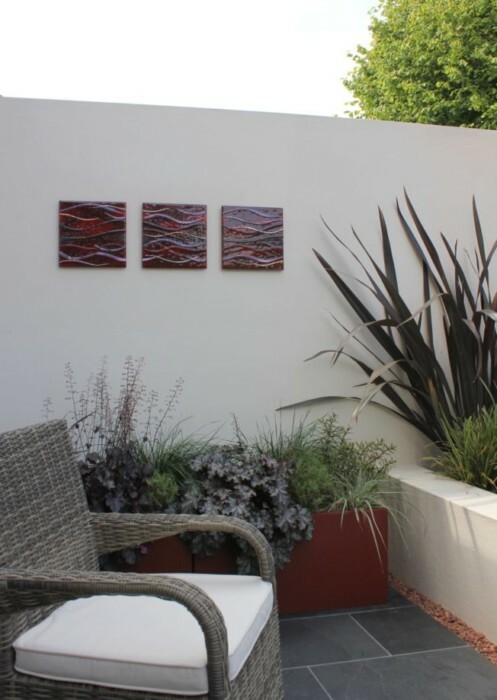 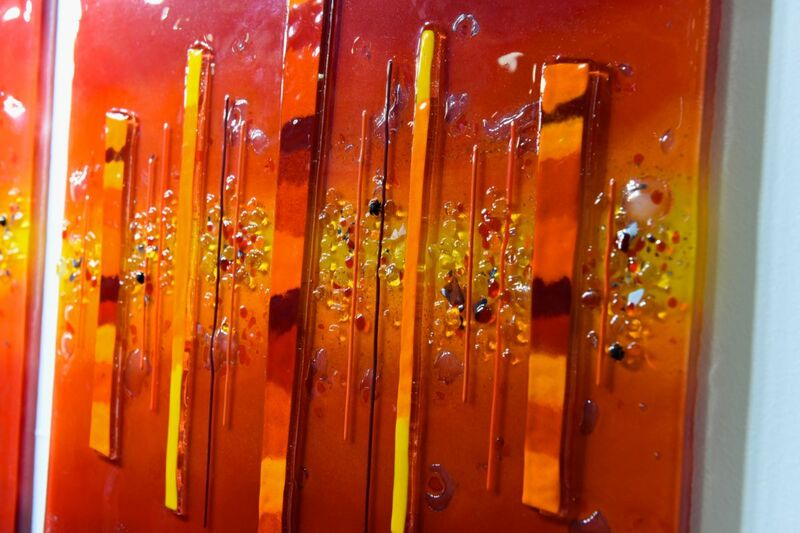 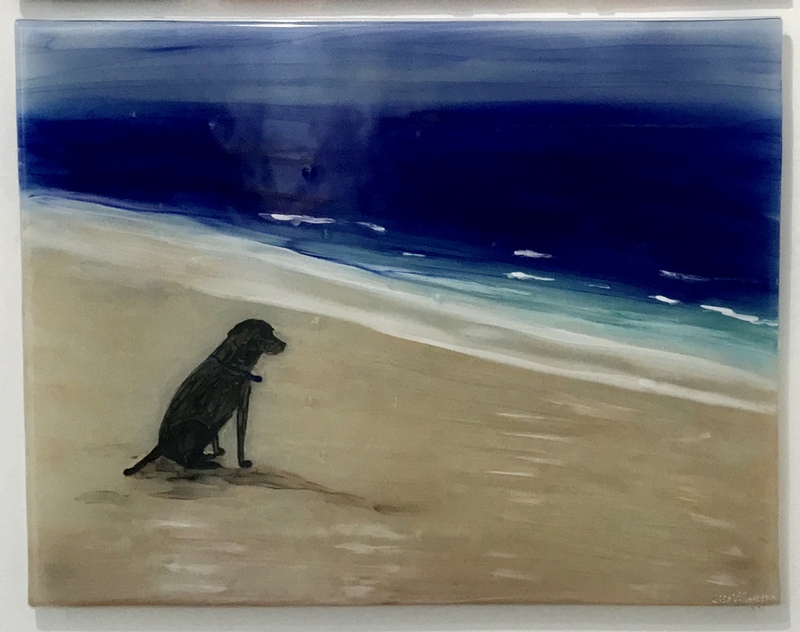 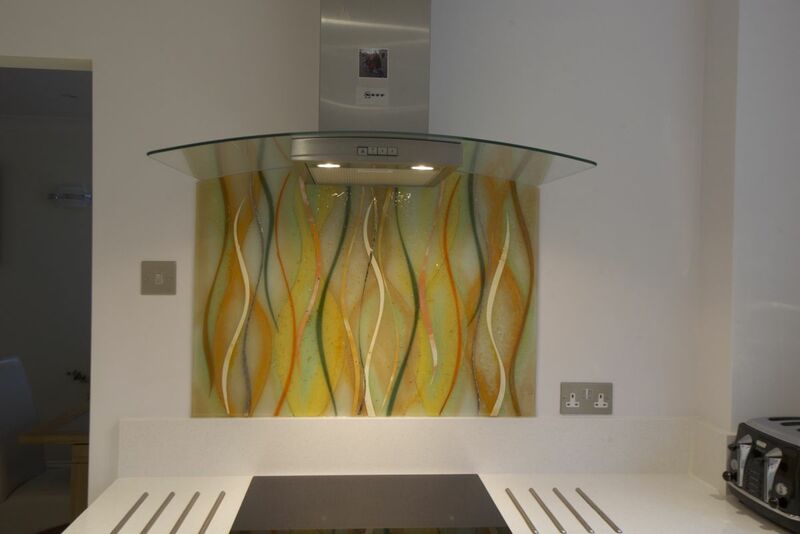 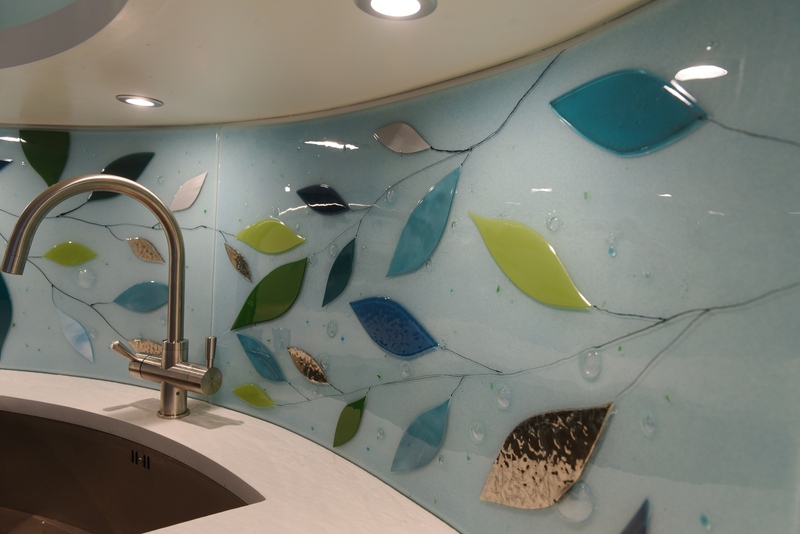 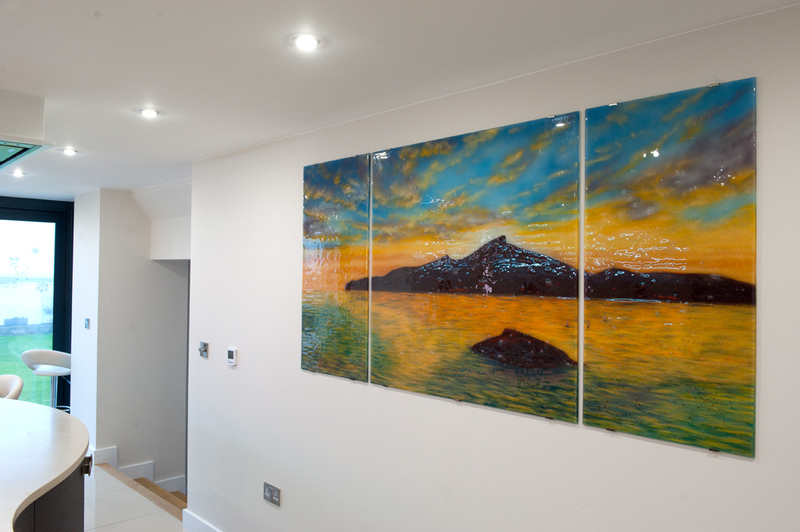 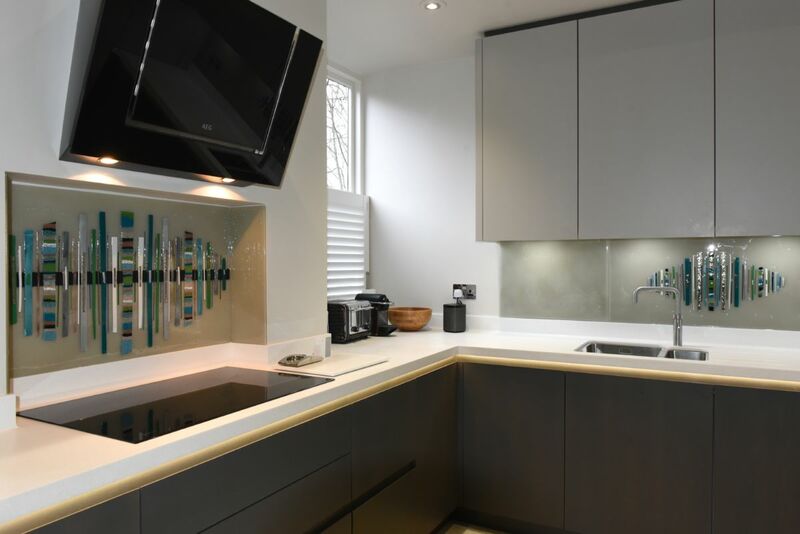 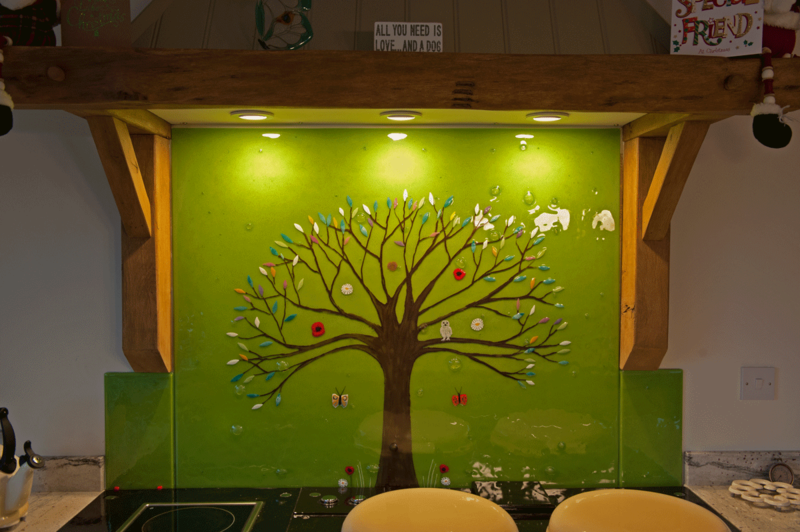 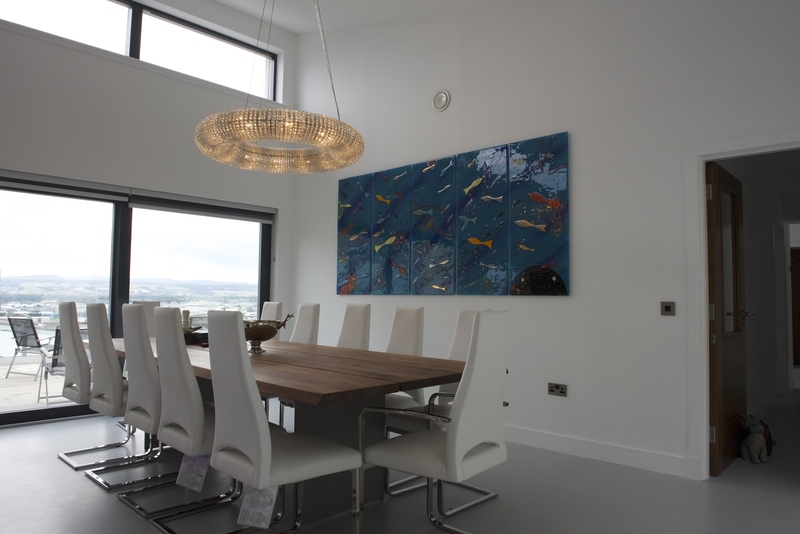 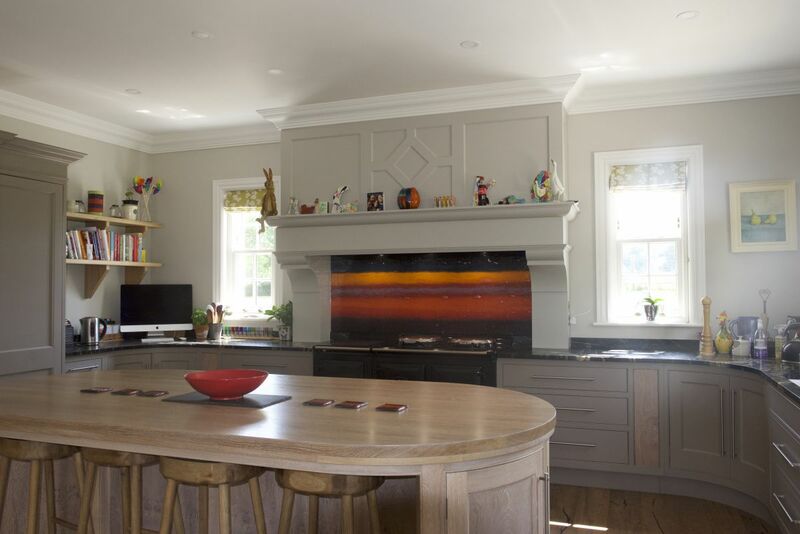 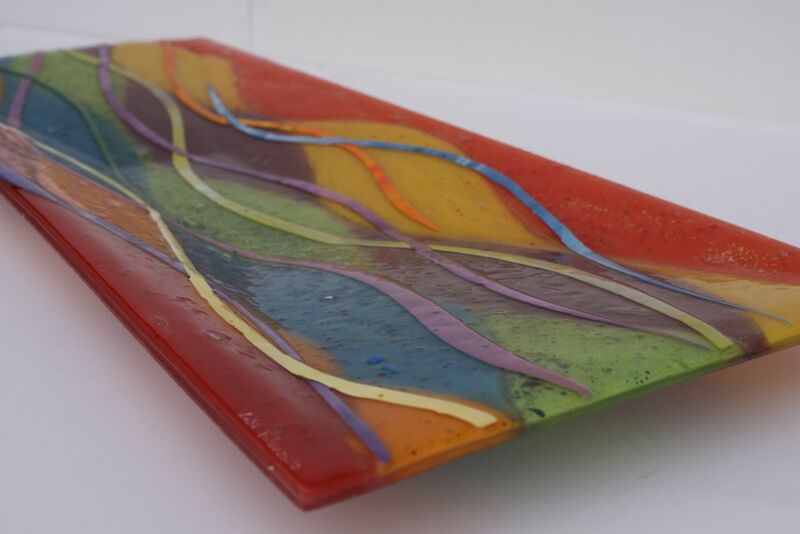 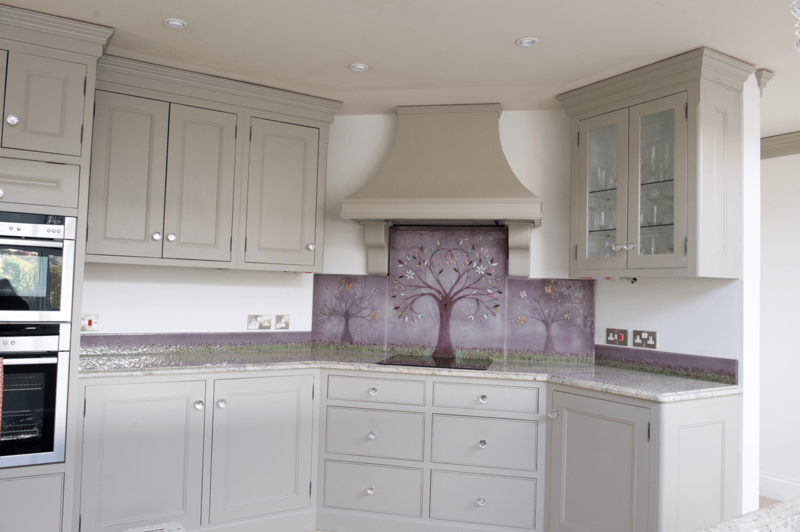 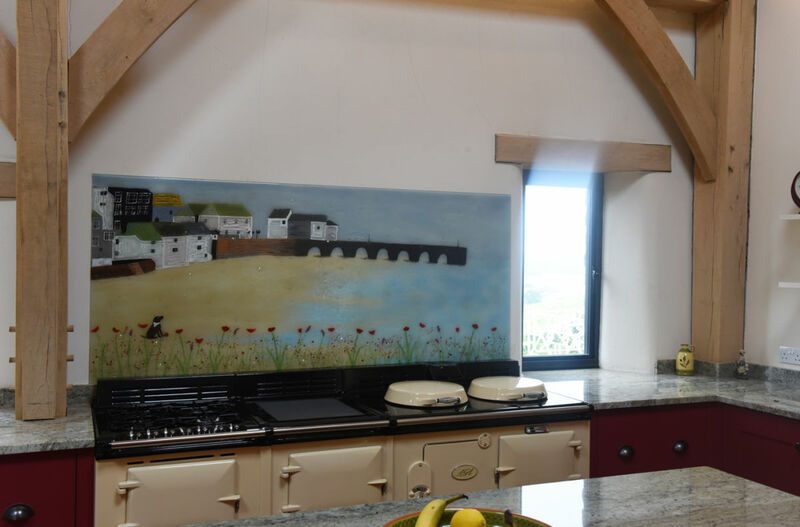 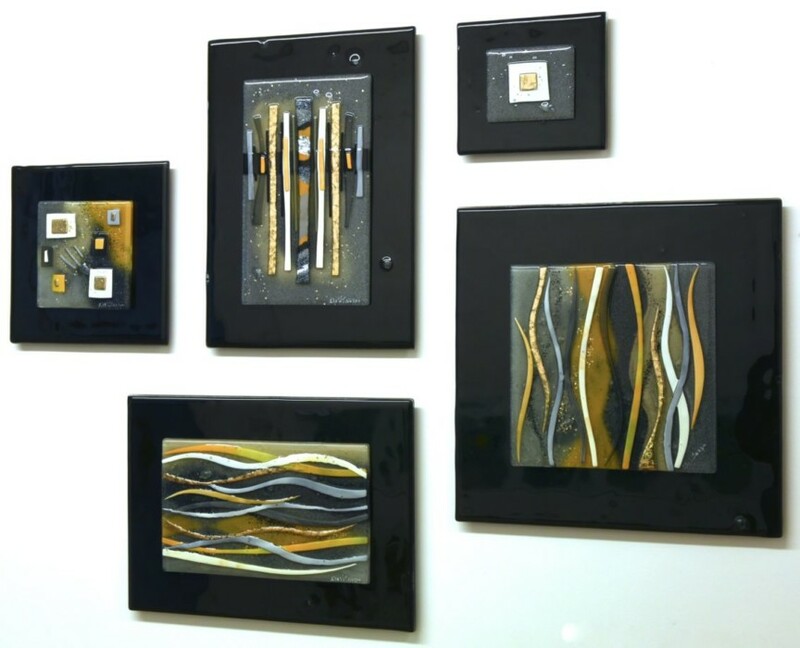 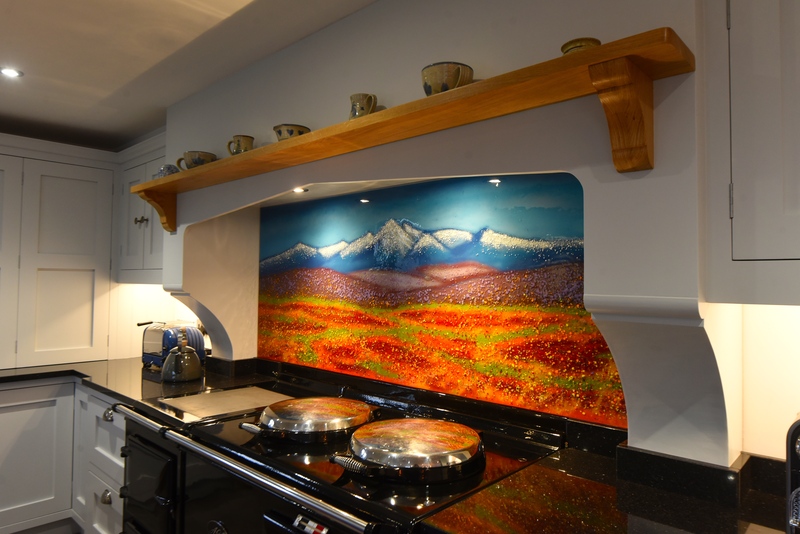 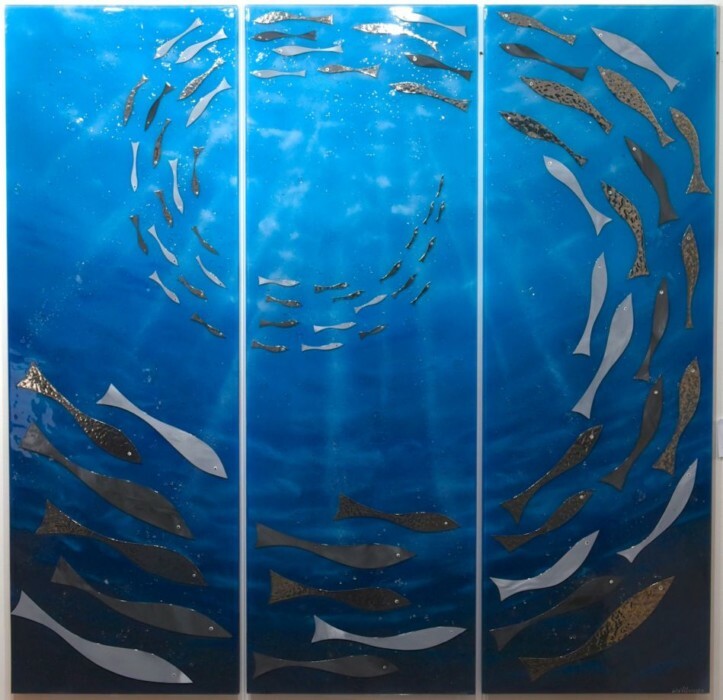 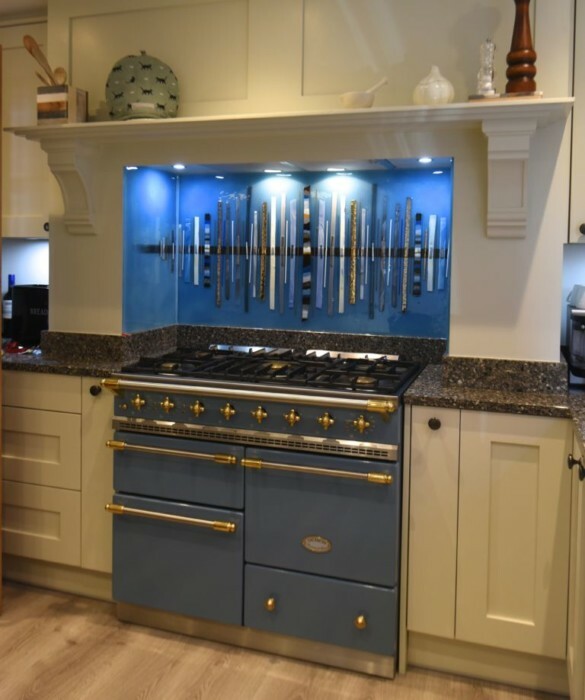 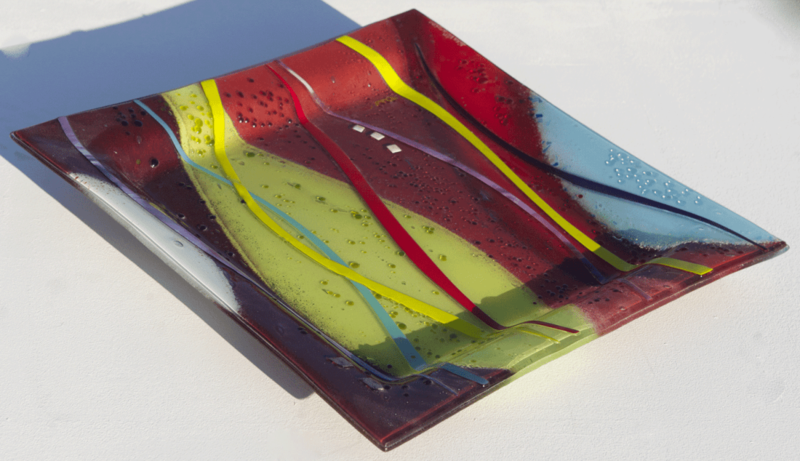 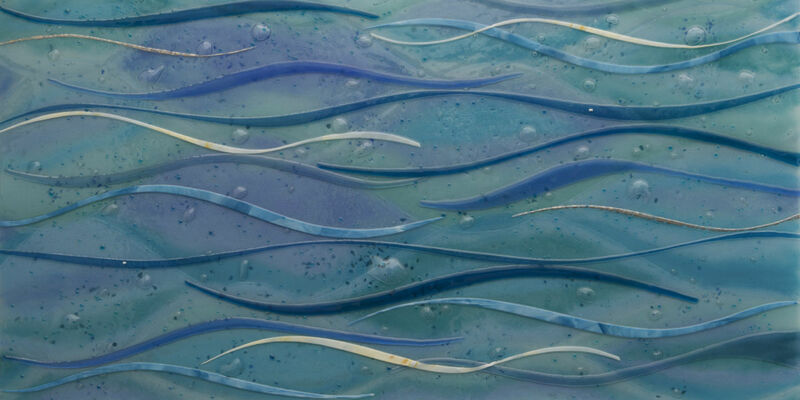 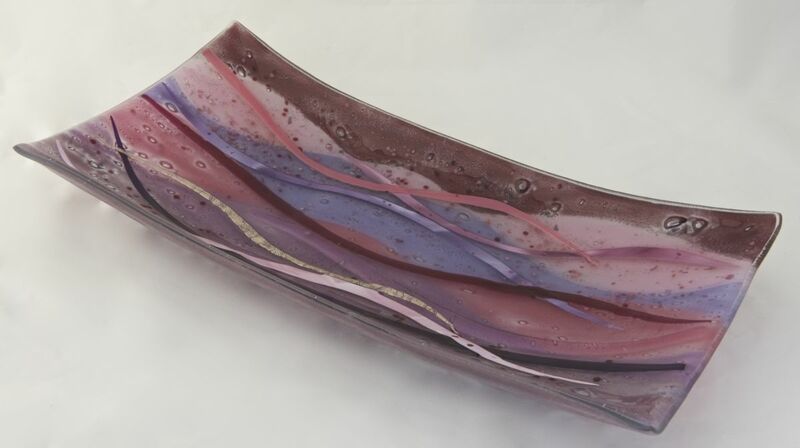 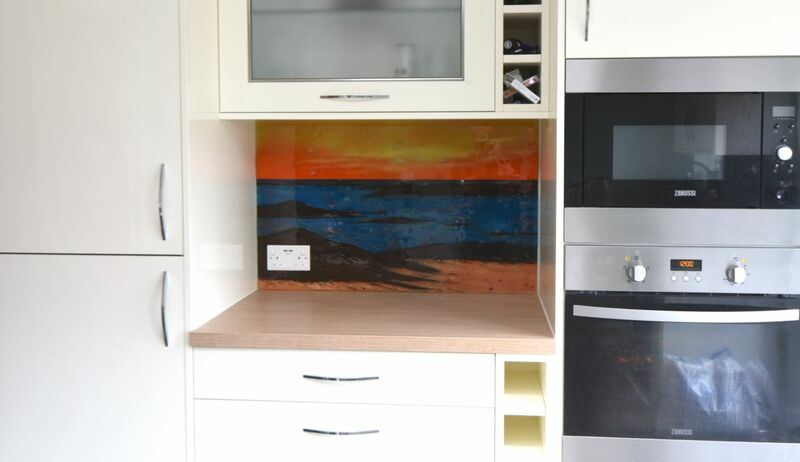 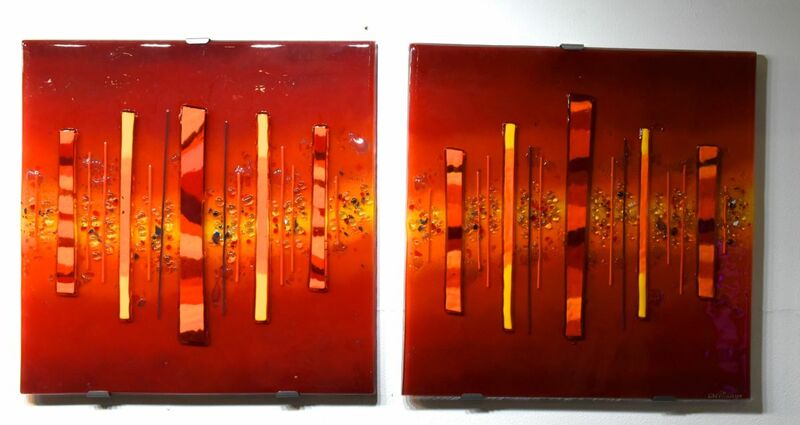 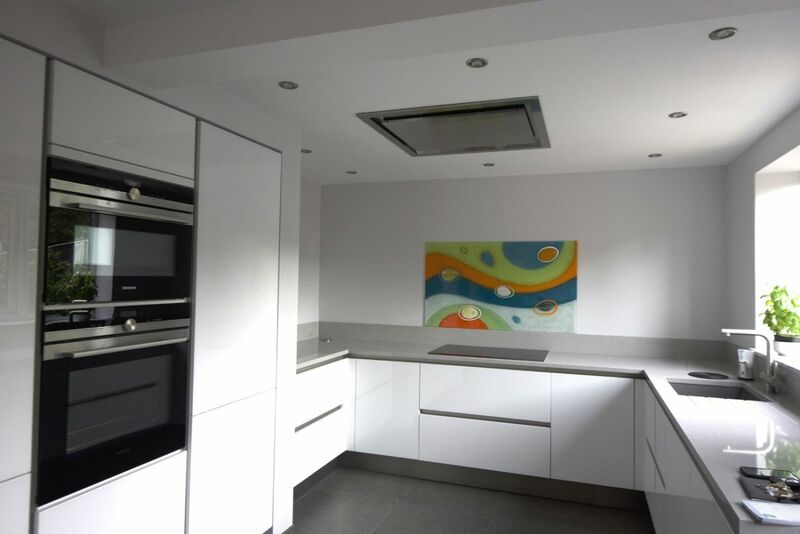 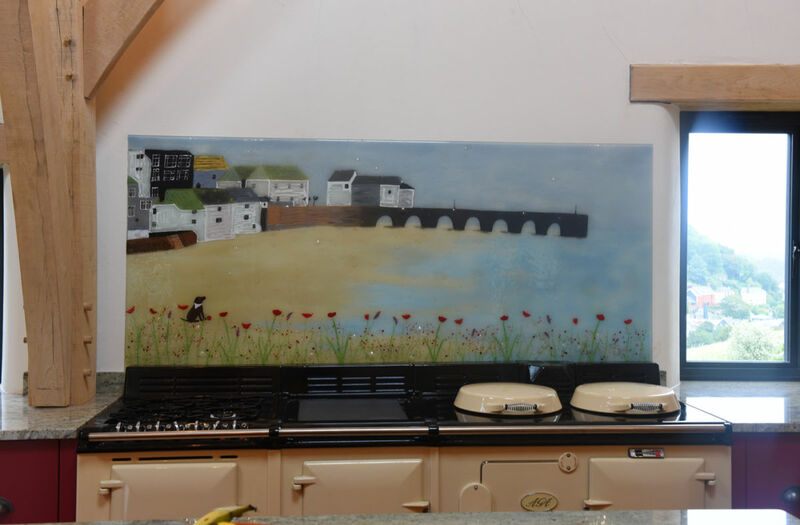 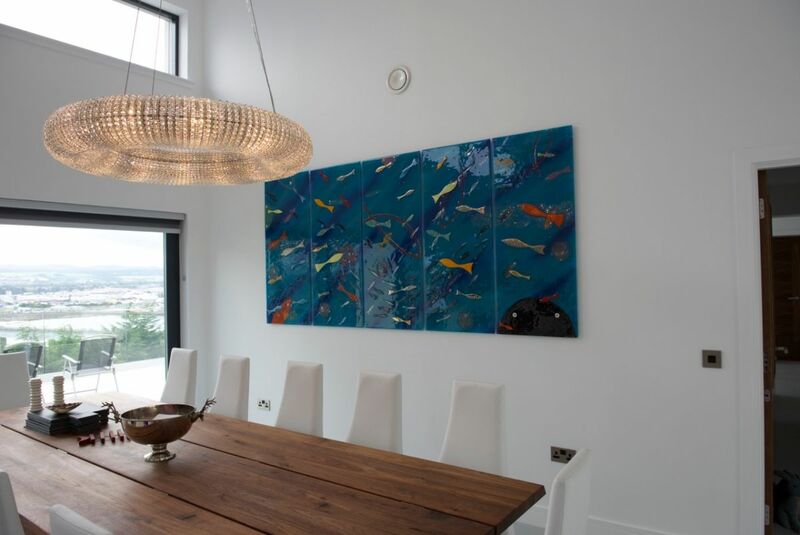 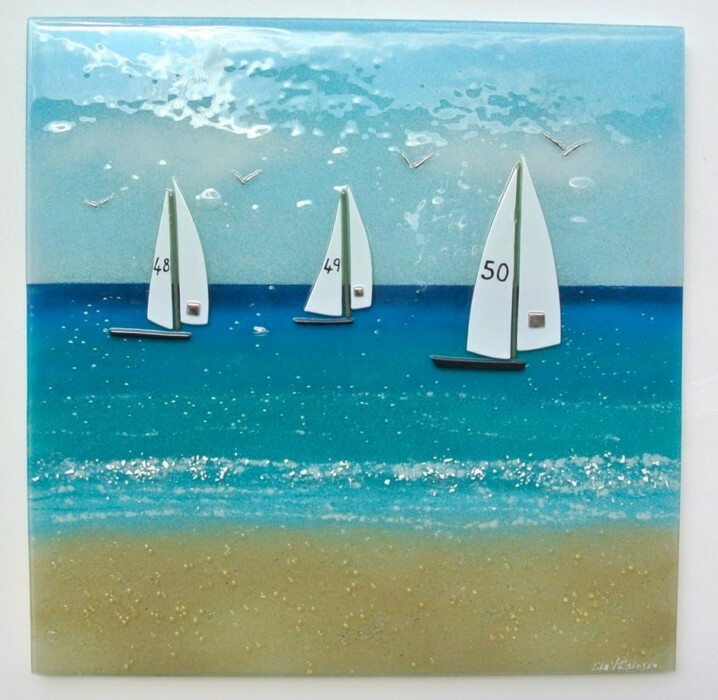 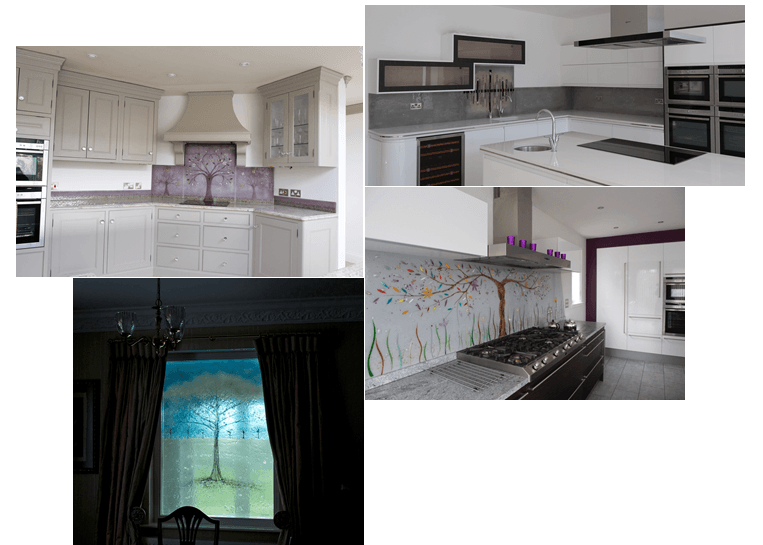 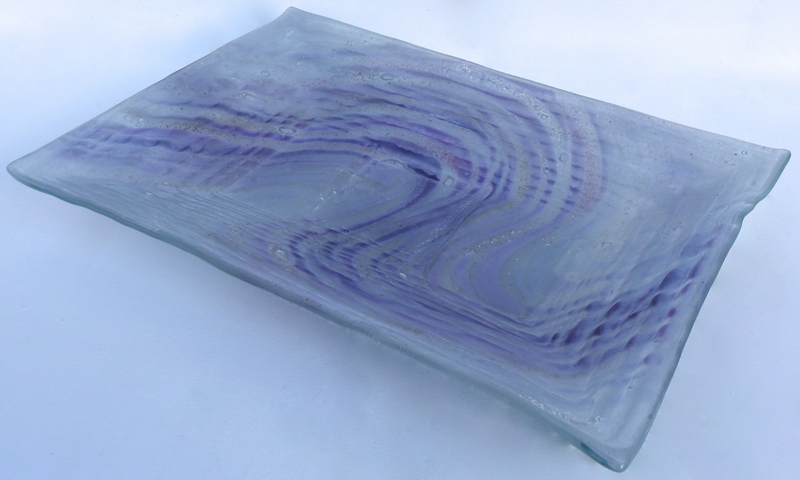 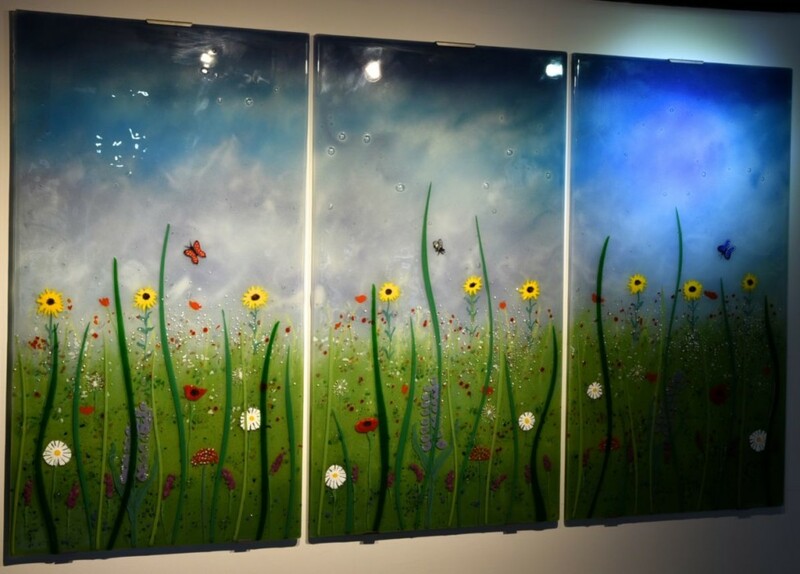 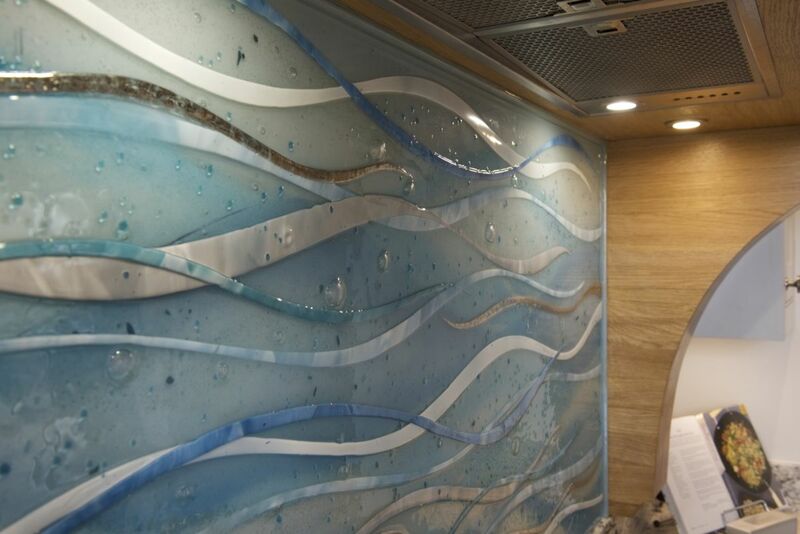 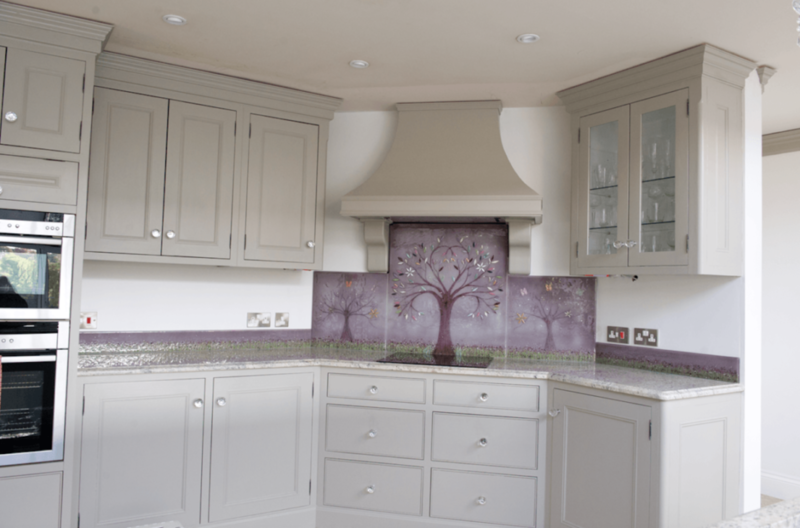 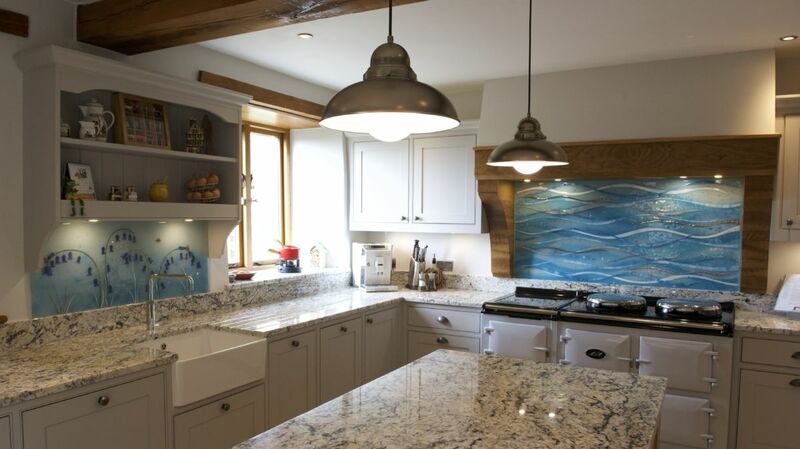 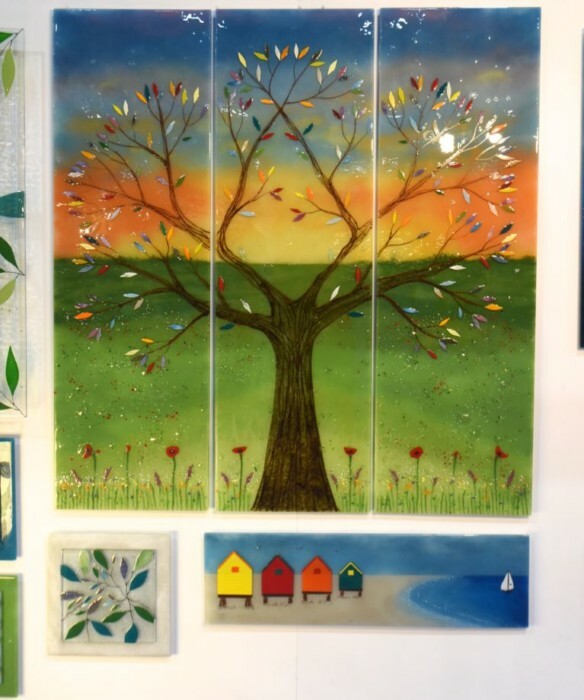 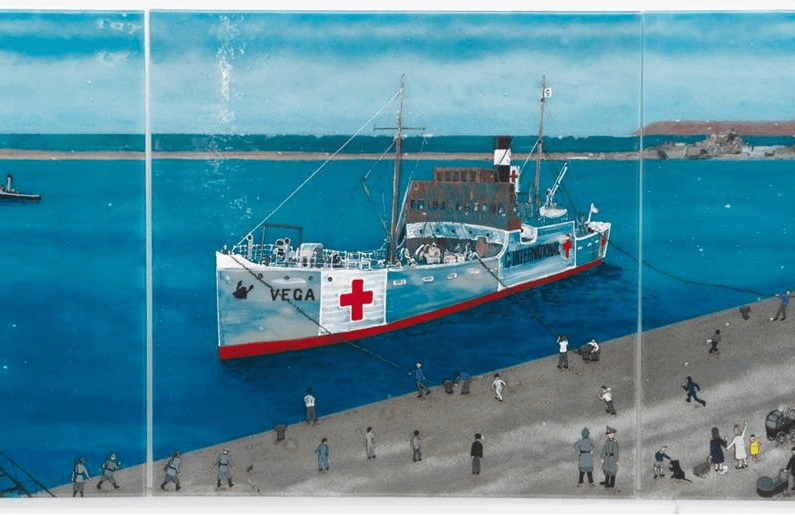 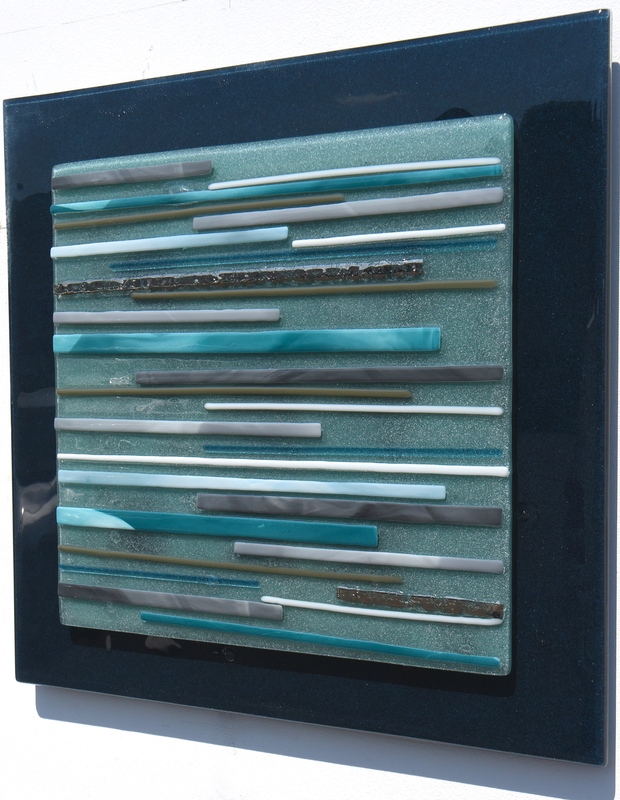 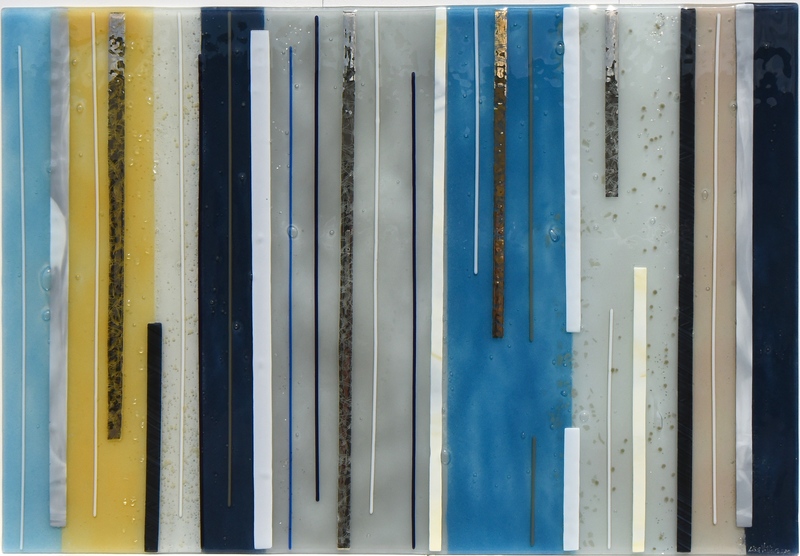 You’ve no doubt seen how our fused glass art can make a home come to life, with a huge variety of kitchen splashbacks, glass wall art panels and more to be found all throughout our portfolio. 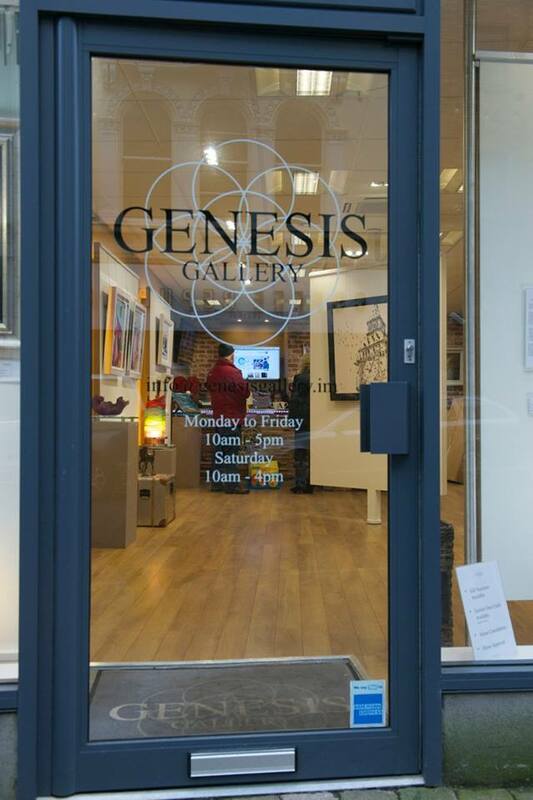 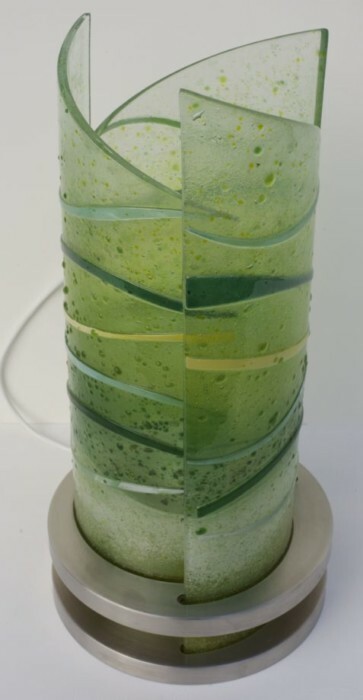 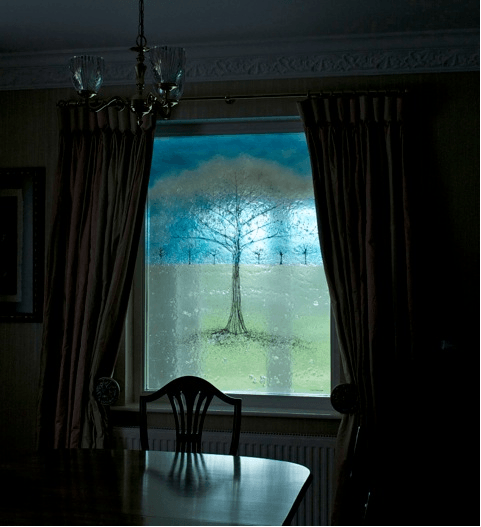 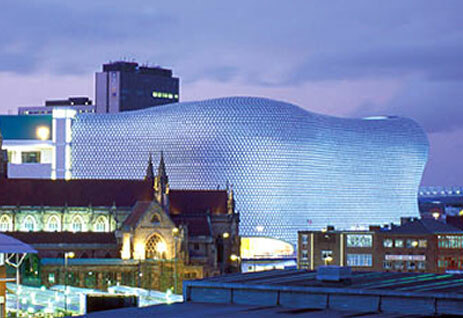 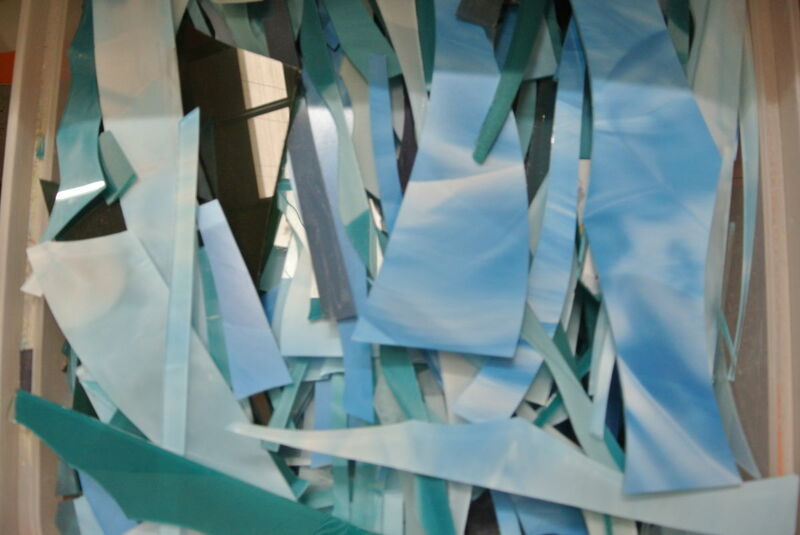 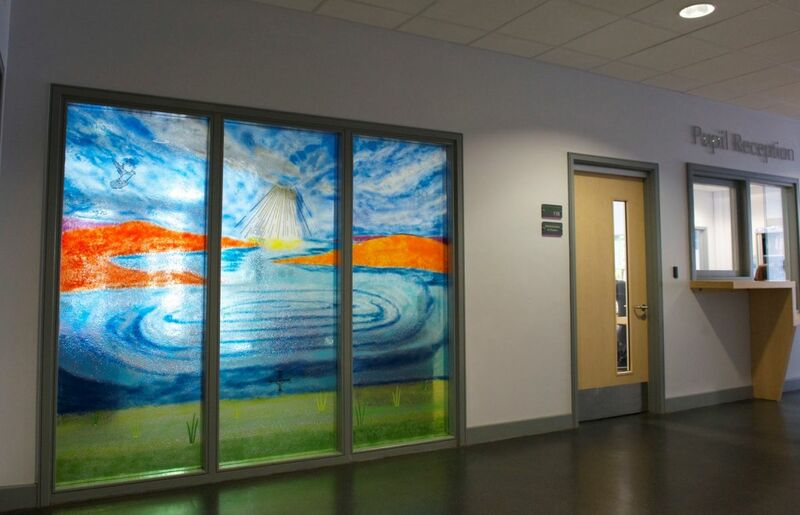 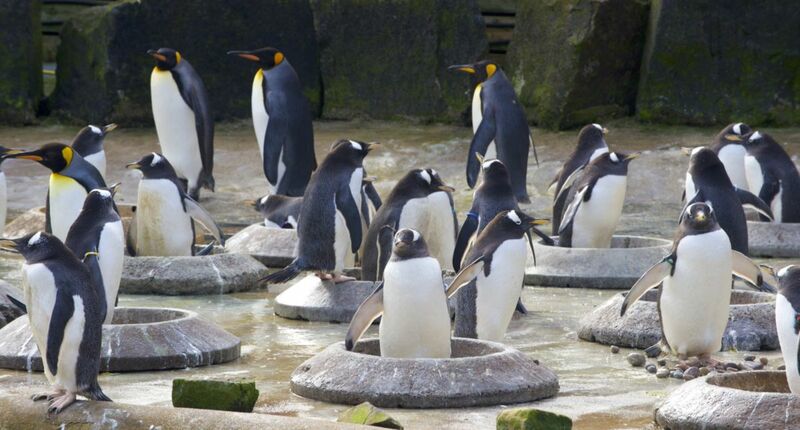 Did you know about our ability to create bespoke glass windows from that very same glass, however? 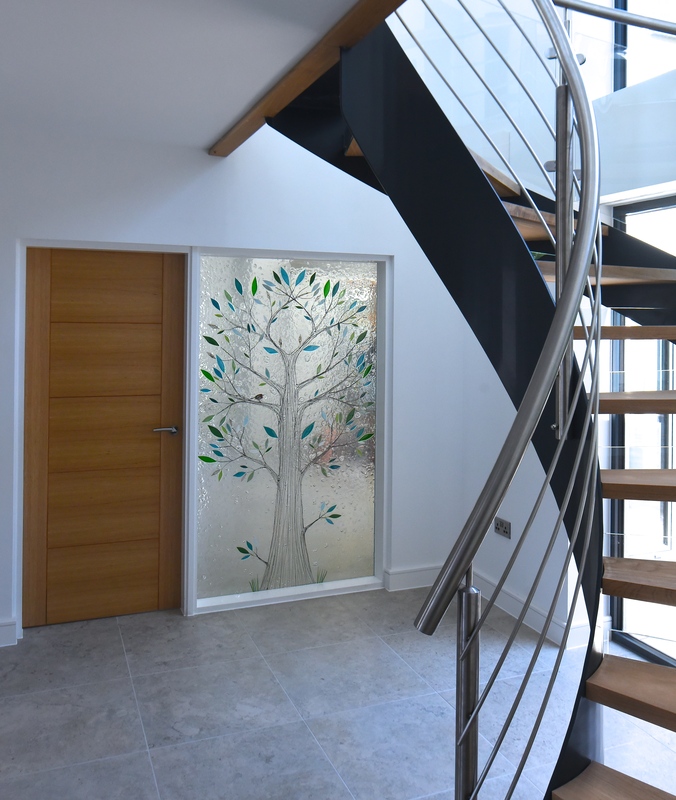 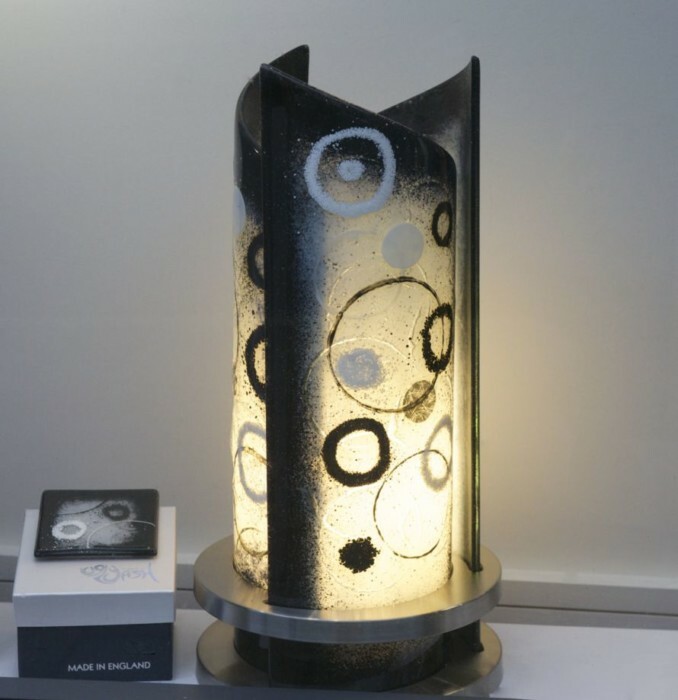 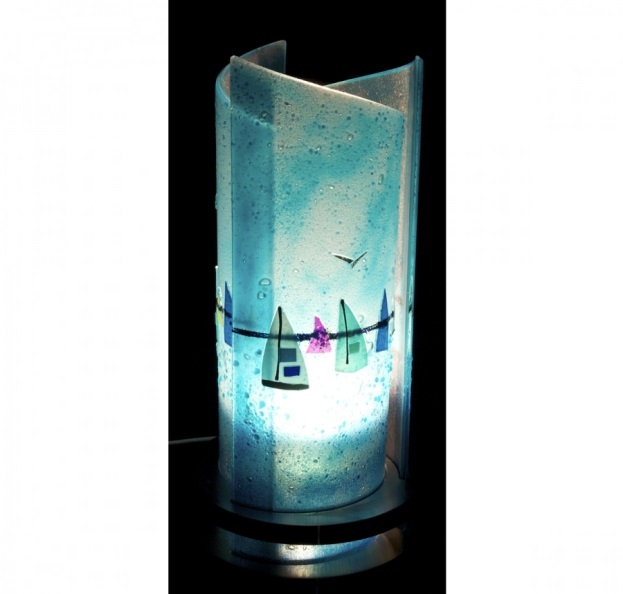 It is glass, after all, and it will let light through in a spectacular way even with your very own personalised design fused onto it. 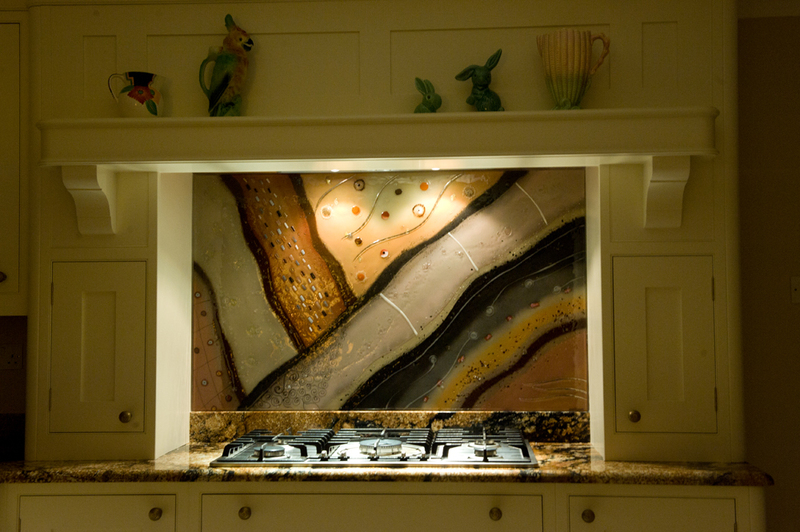 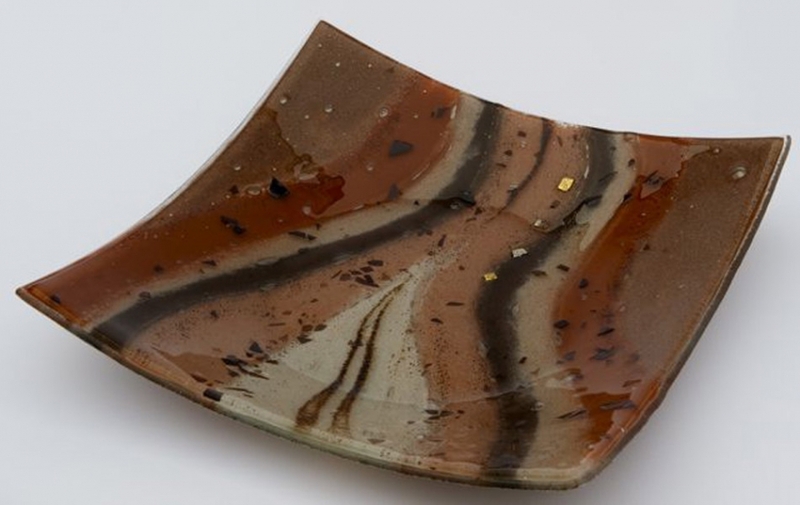 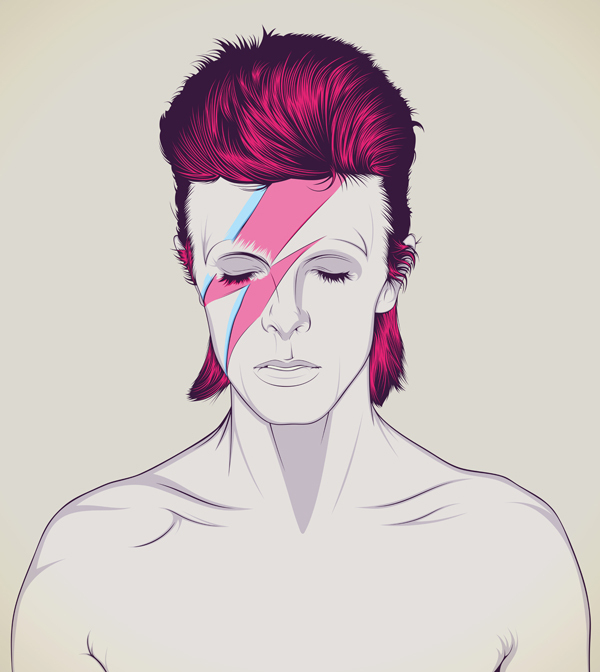 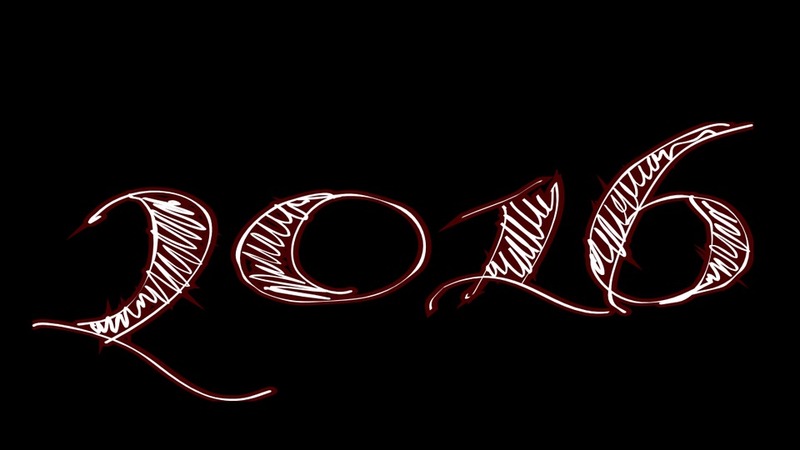 You can see an example pictured above, a classic piece from the vaults that we fondly remember creating. 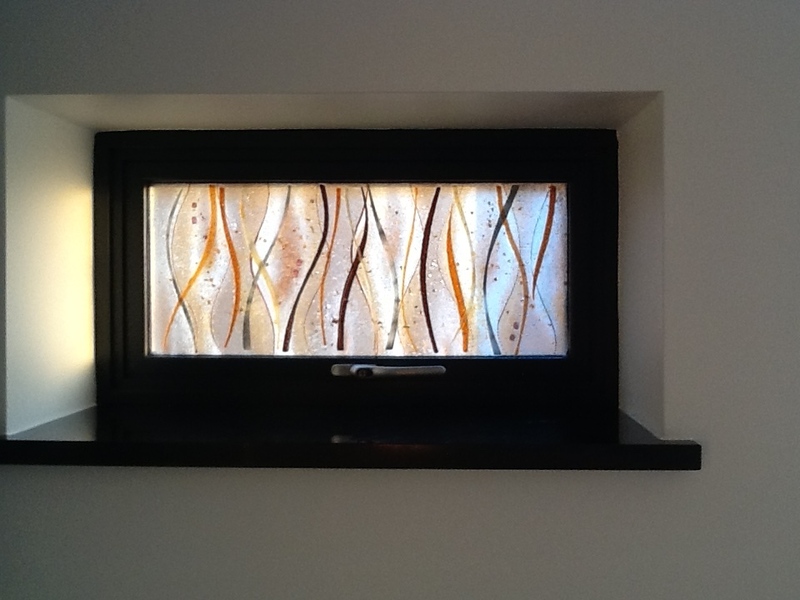 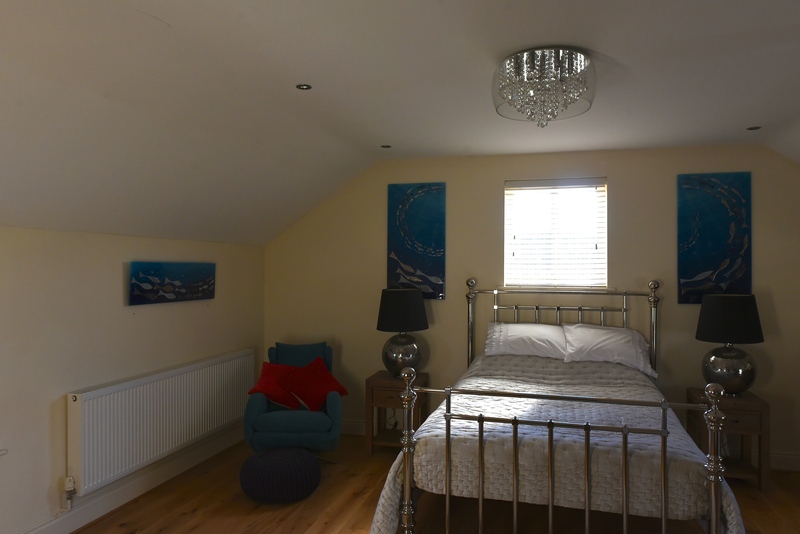 Our bespoke glass windows make for the perfect alternatives to what you might expect to see decorating a home, and they’re a very practical way to bring light into your home that isn’t the obvious choice or the first thing you might think of. 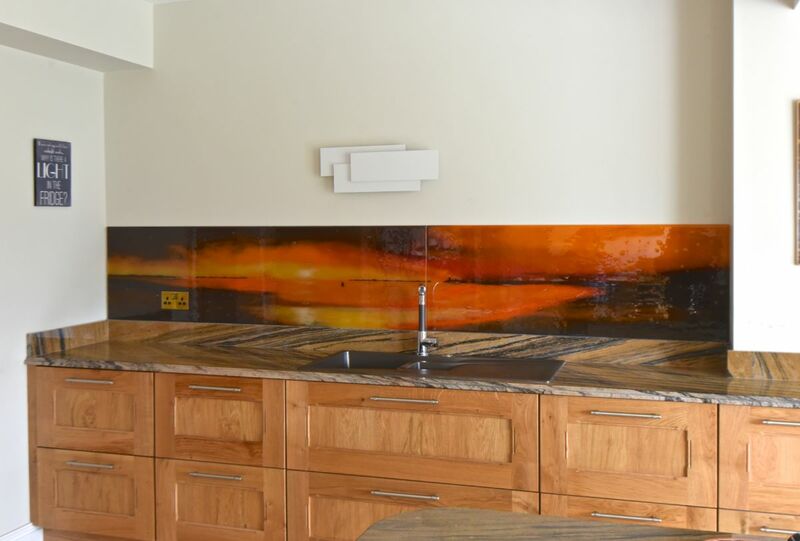 They’re perfect for the homeowner who’s looking to get their hands on that highly coveted stained glass look, lending themselves well to traditionally decorated spaces as well as rooms that have a much more modern style. 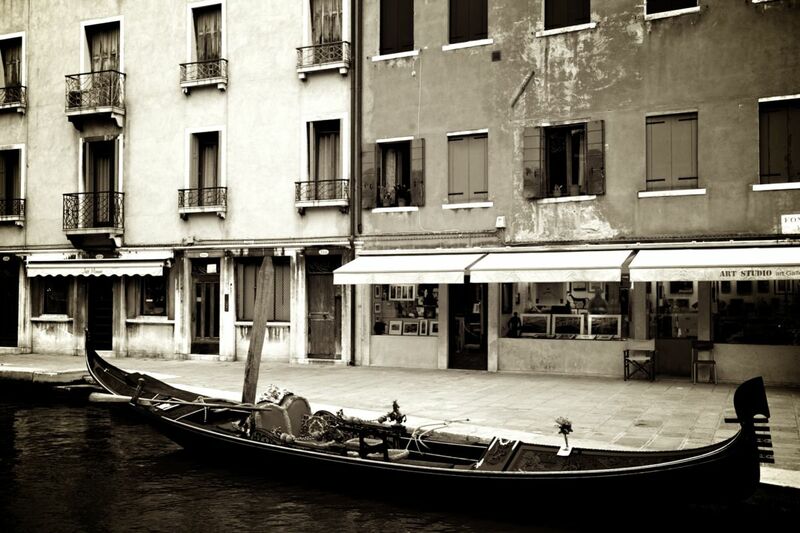 What’s more, they’re much easier to transport and far more reliable, bringing you all the beauty without any of the inconvenience. 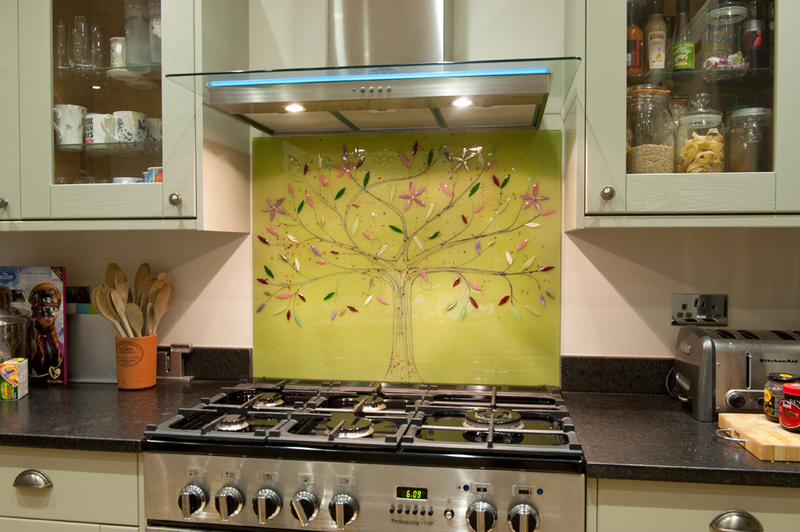 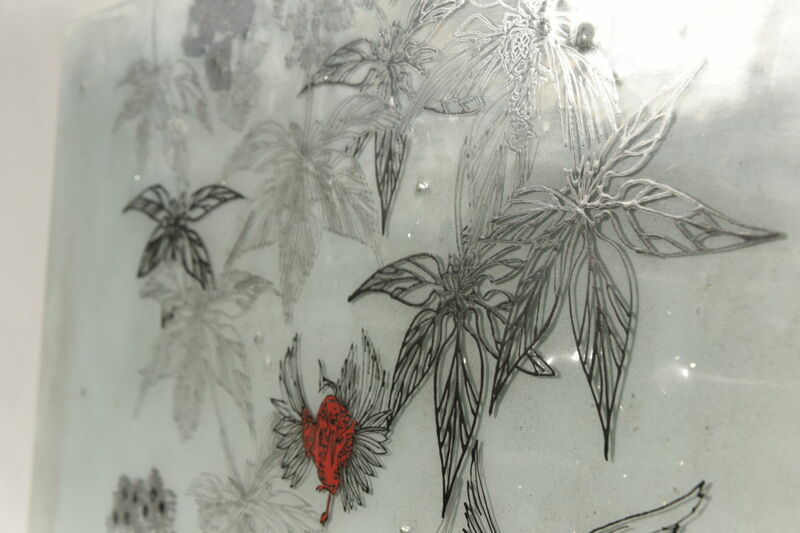 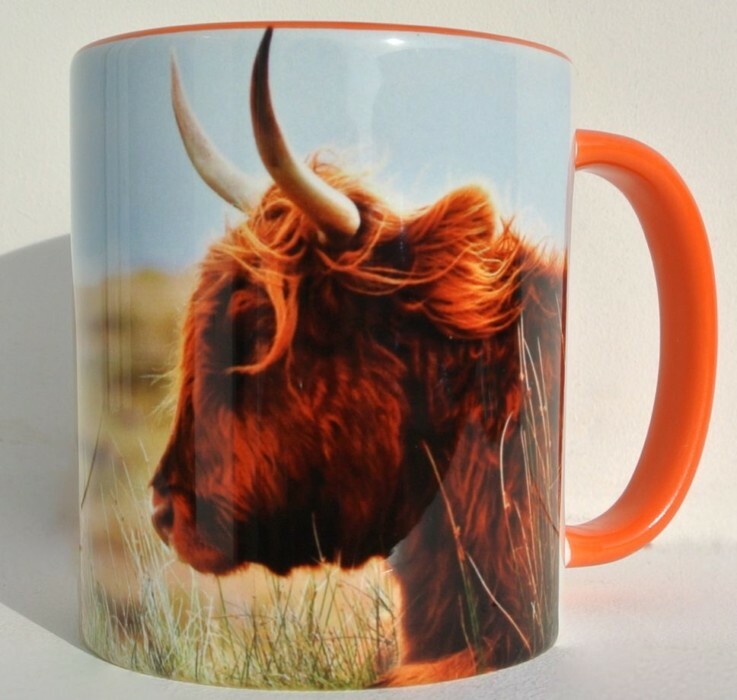 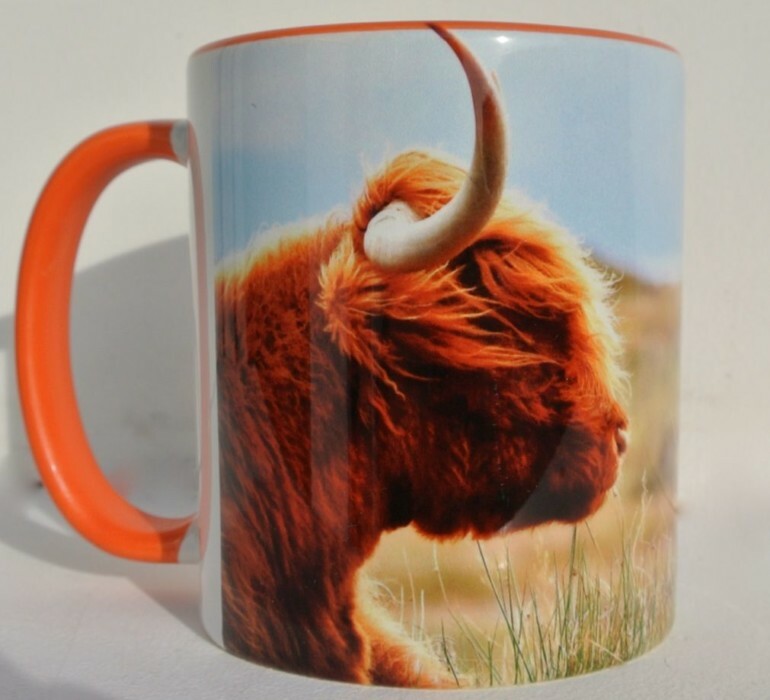 Needless to say, all of our glass can always be personalised to the extent that you’d like it to be. 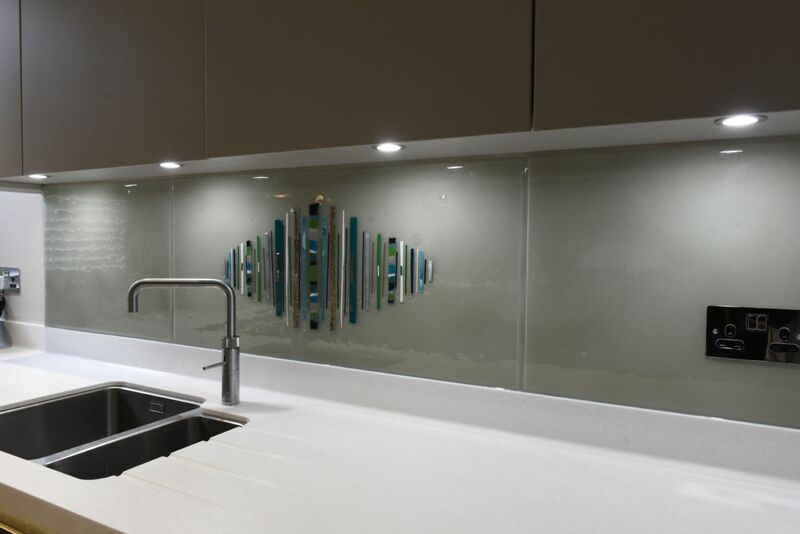 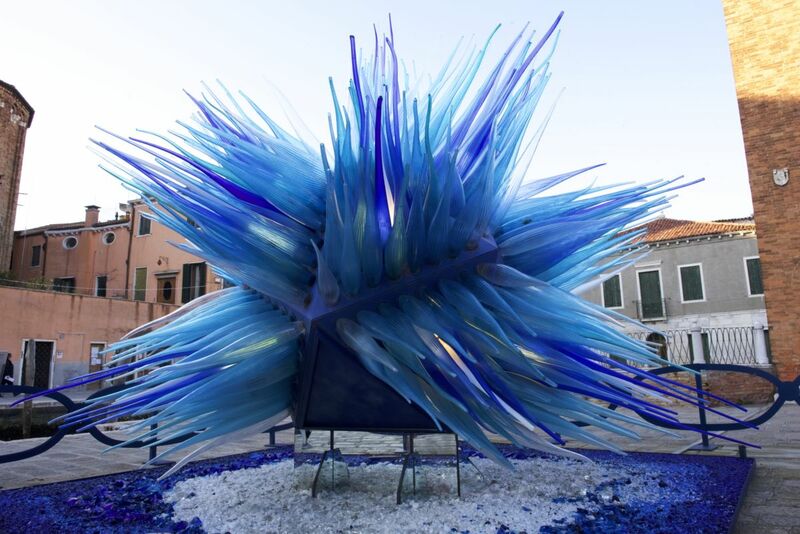 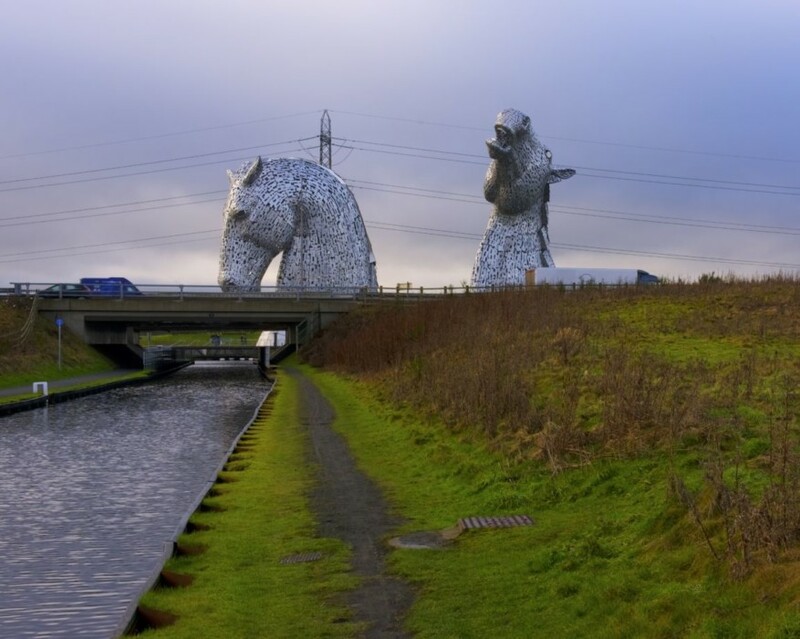 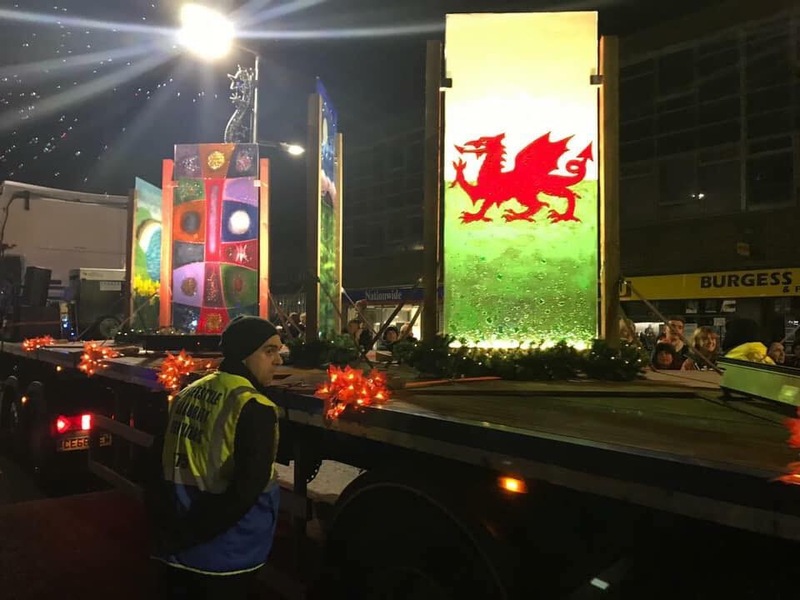 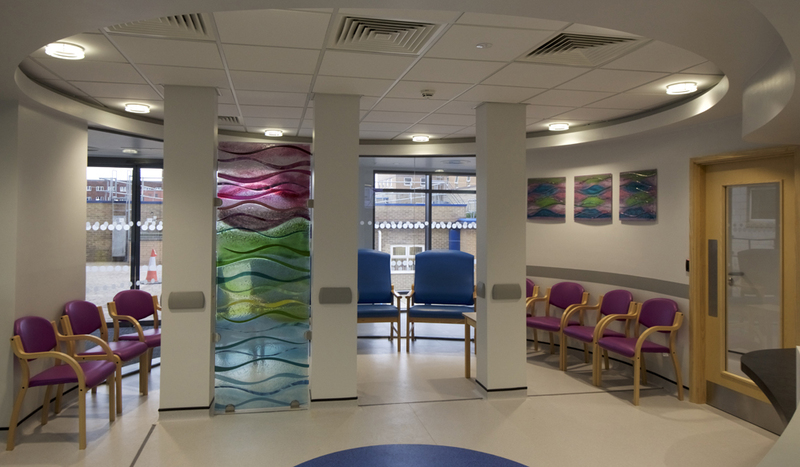 We can also customise pieces for exterior installations or applications where the thickness and strength of the glass is especially important. 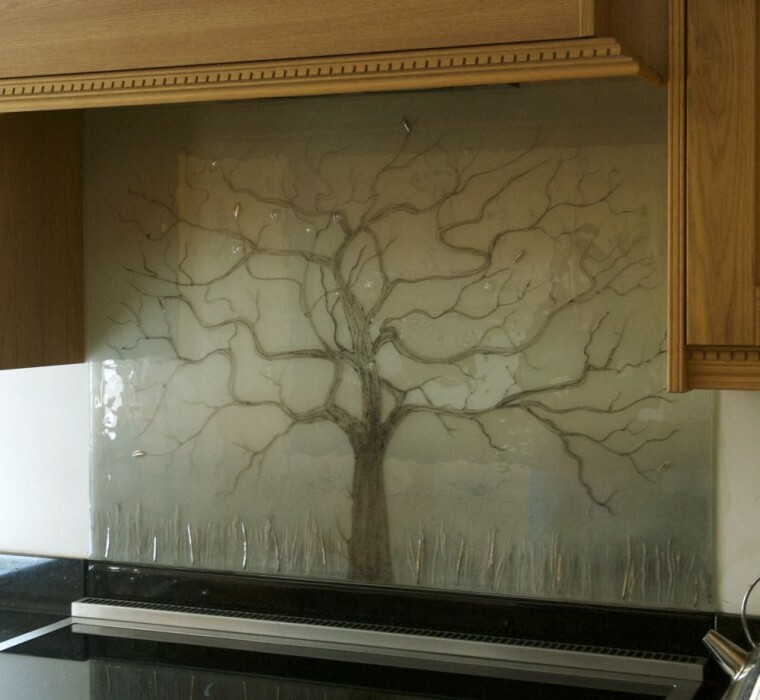 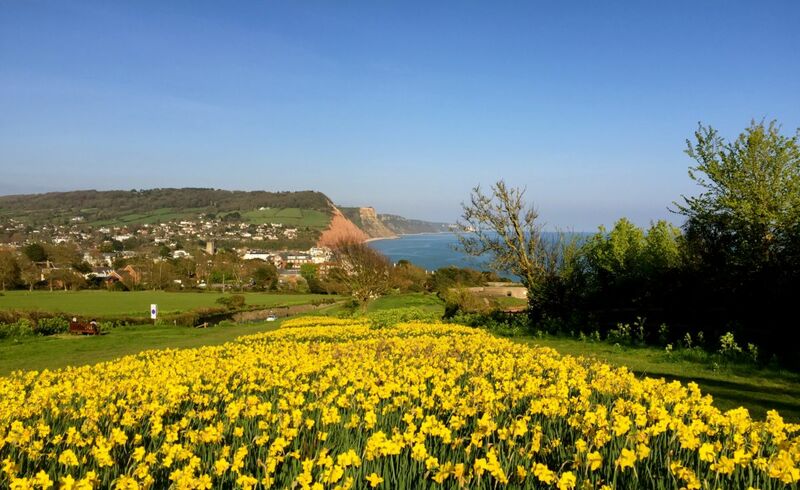 Choose from double or even triple glazed glass, and we’ll make sure that the end result is completely practical as well as looking absolutely incredible. 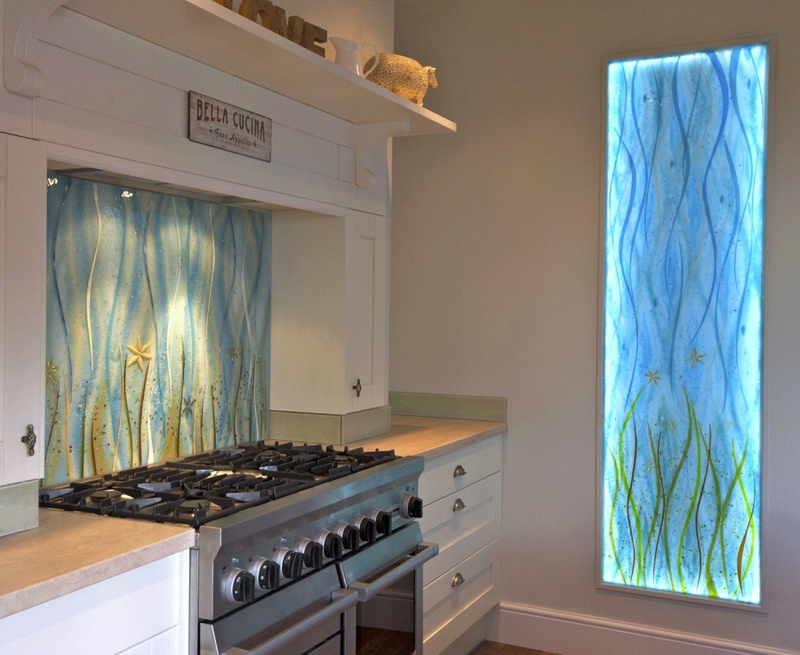 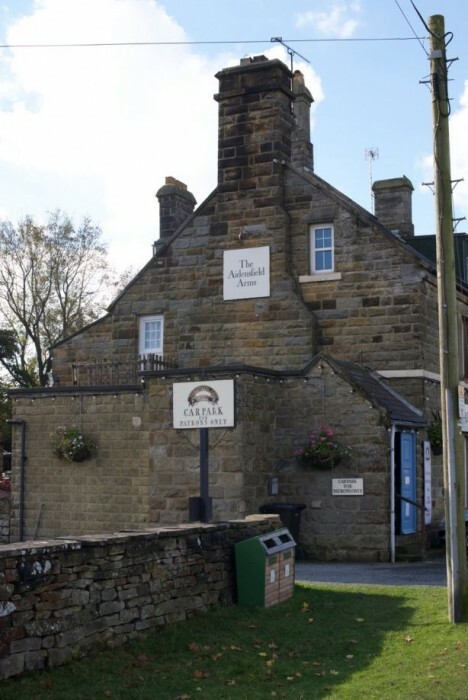 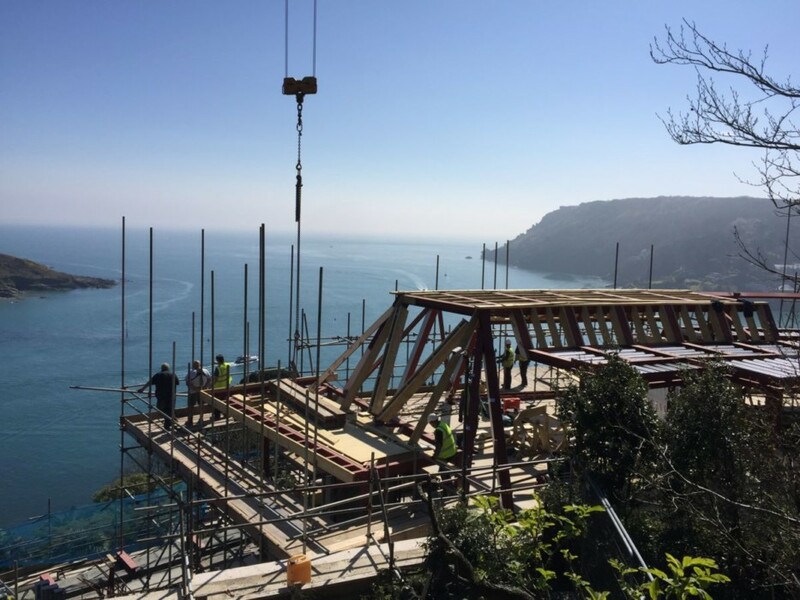 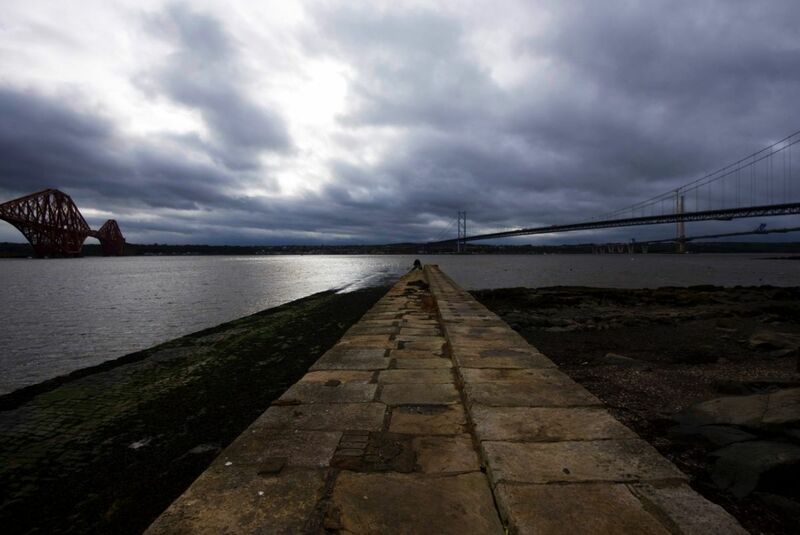 So, whether you’re on the lookout for bespoke glass windows or it’s something else in our portfolio that’s caught your eye, why not get in touch? 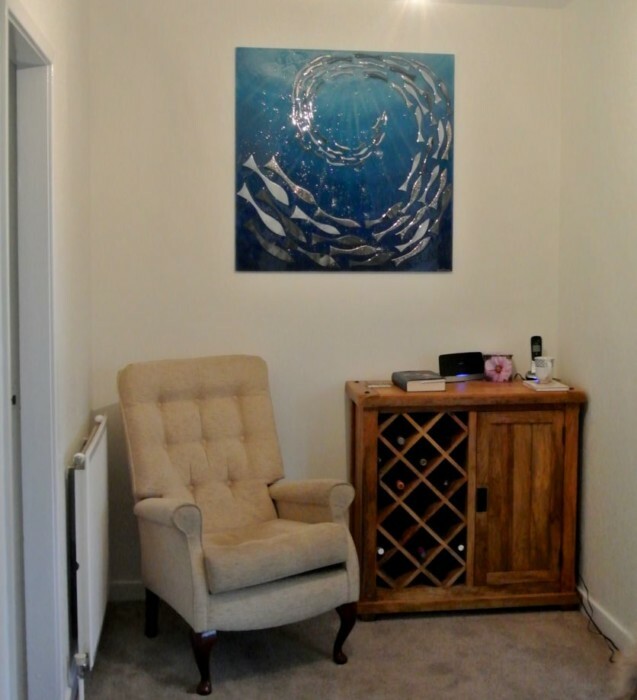 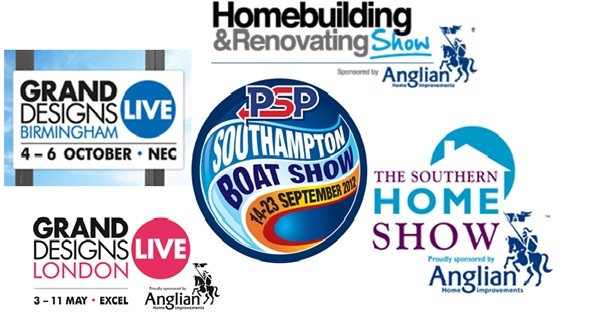 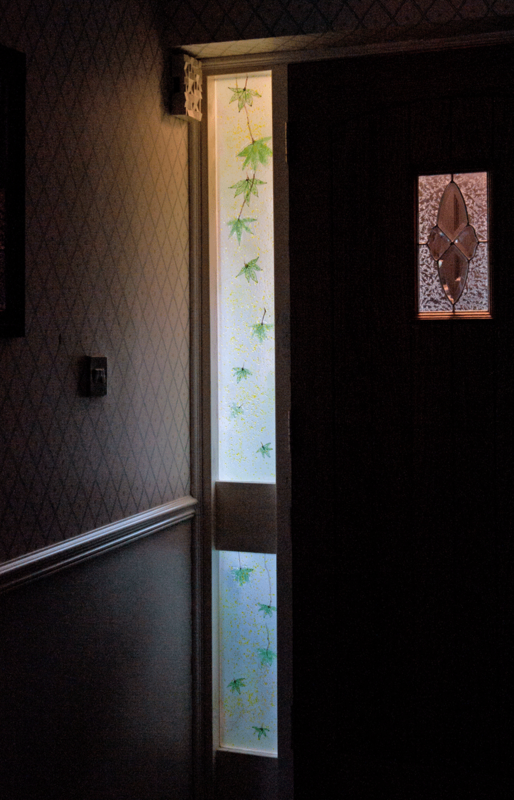 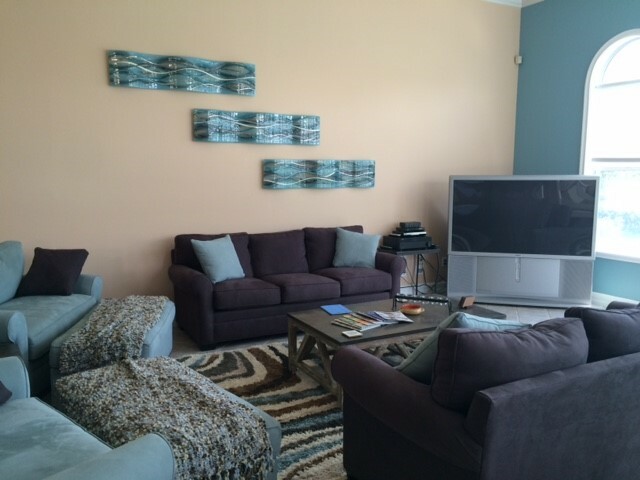 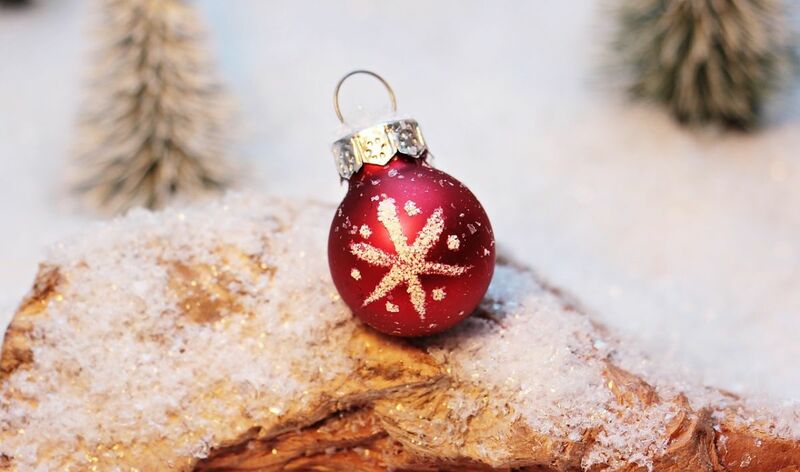 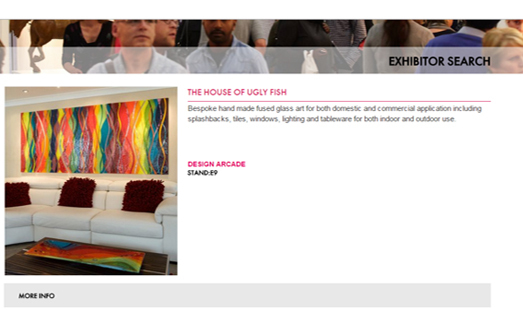 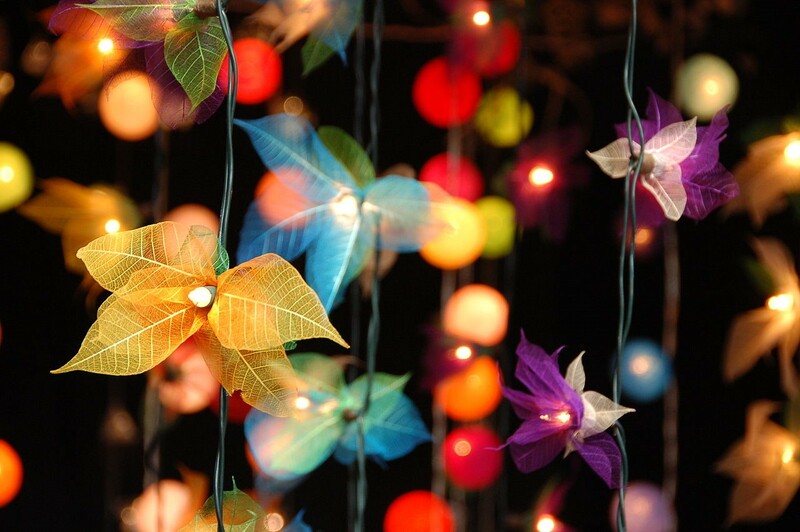 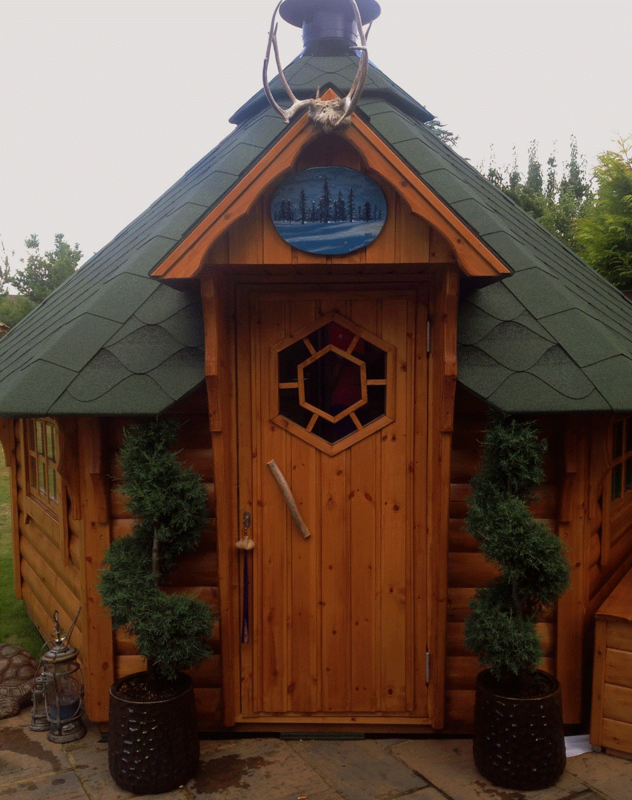 We here at The House of Ugly Fish are ready and waiting to help you let light into your home in a unique and very creative way. 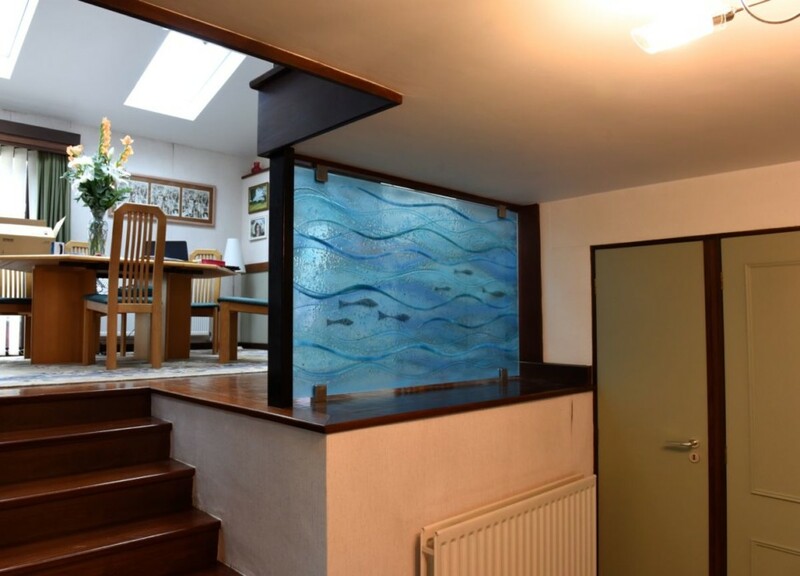 The only thing we need from you is all your best ideas regarding the design of the glass, and once we’ve discussed everything with you to make sure the details are right, we’ll get started. 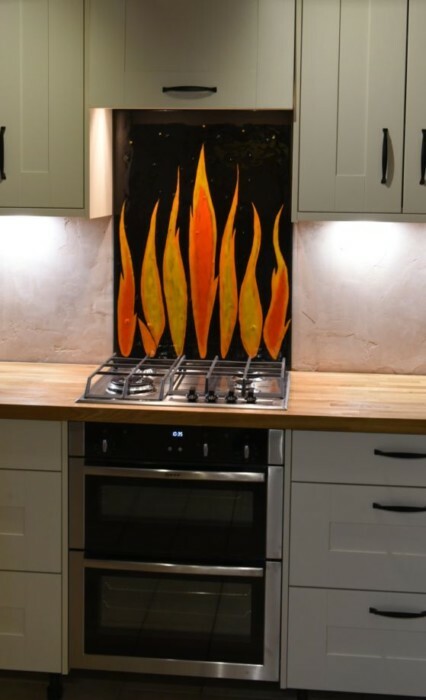 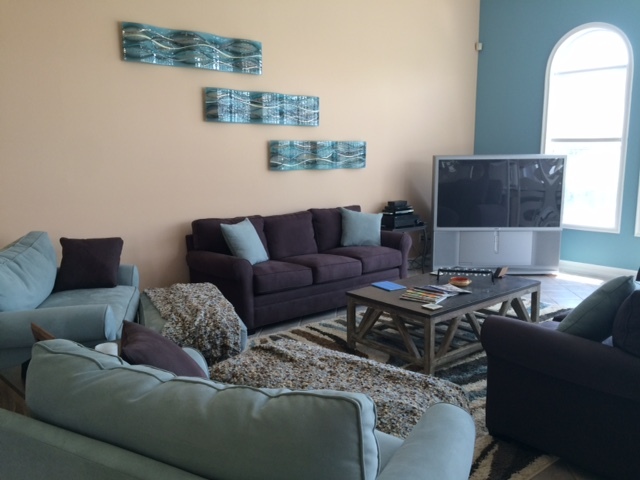 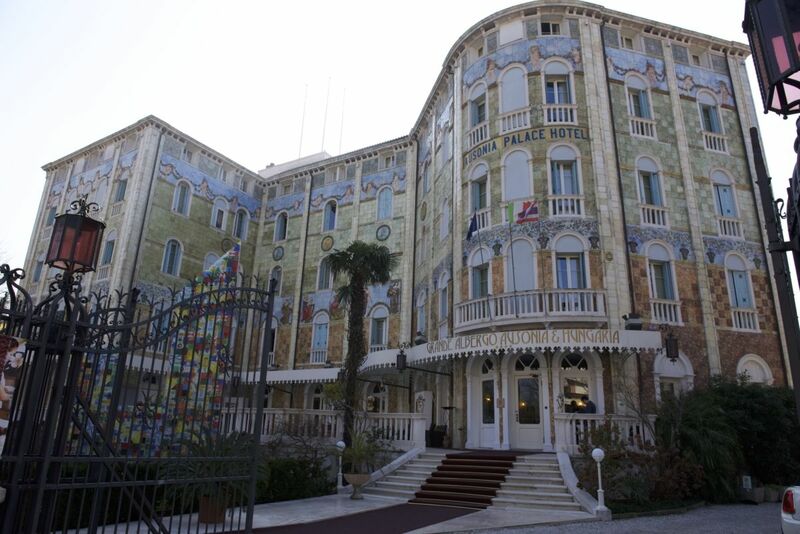 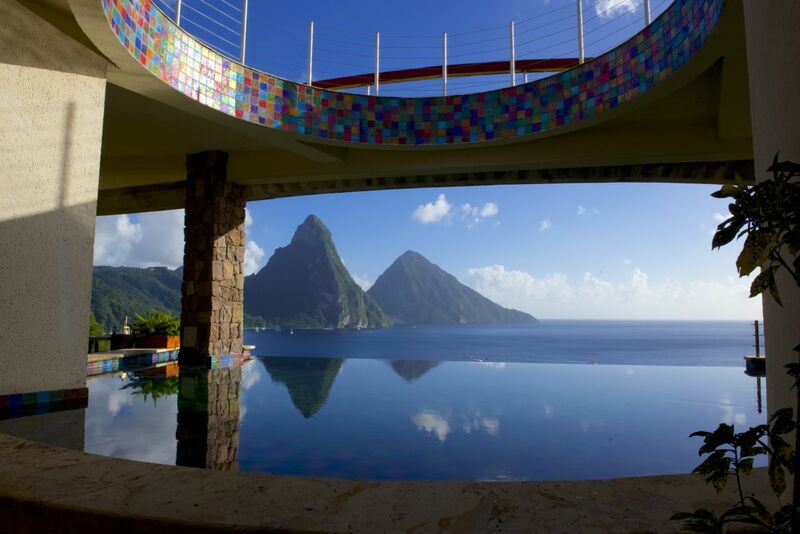 Before you know it, you’ll have an alternative to stained glass windows that’s guaranteed to make jaws drop.